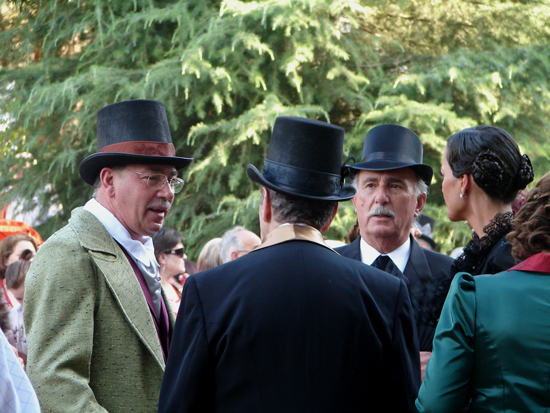 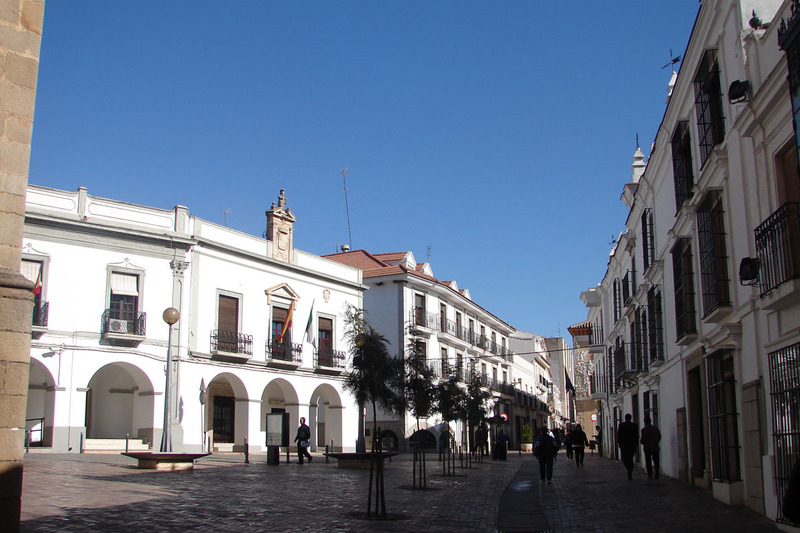 Originally eminently farming, the city has had a progressive social, cultural and economic development, becoming a modern and dynamic population, with a range of services that give it an exceptional quality of life. 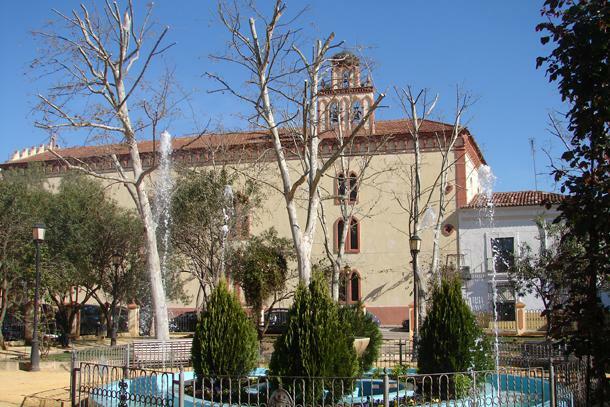 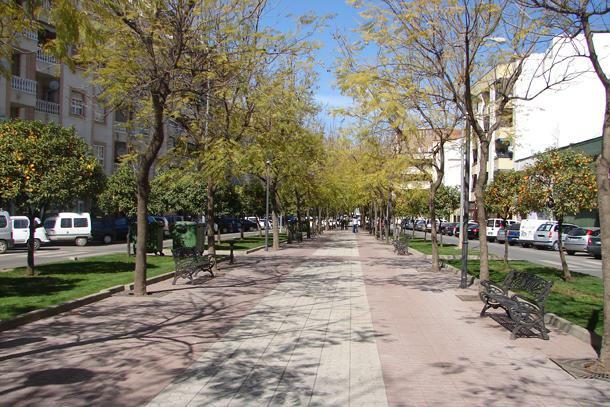 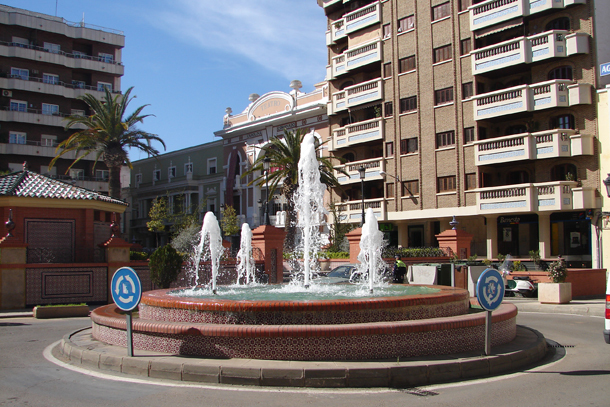 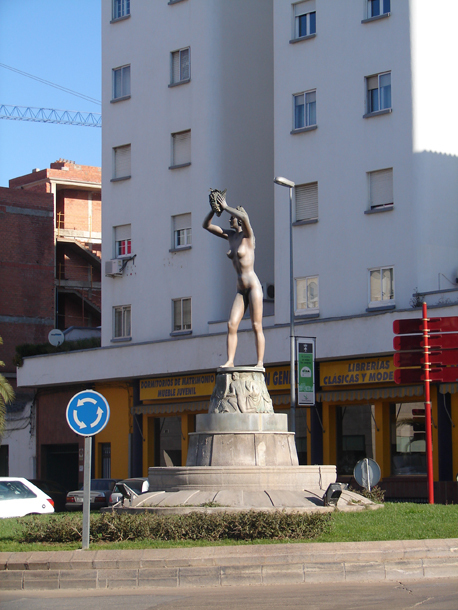 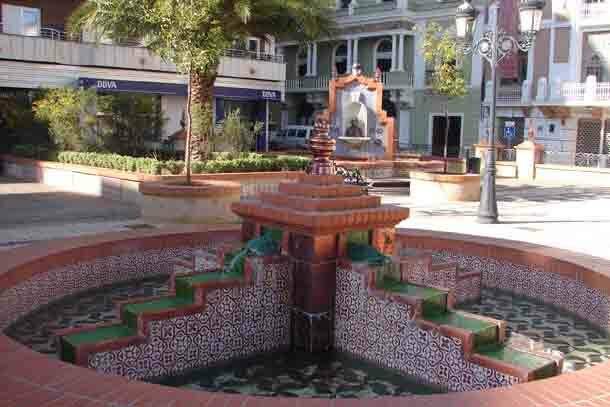 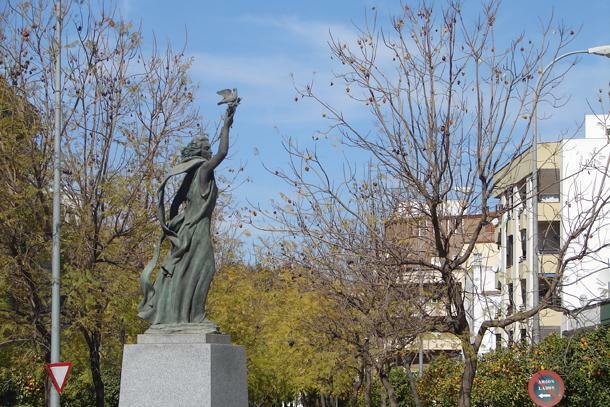 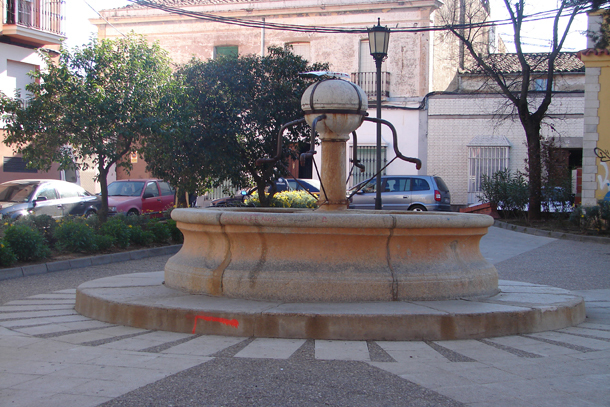 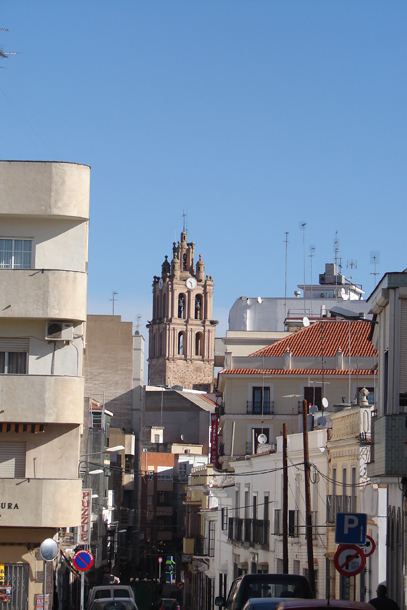 Capital of the distric Tierra de Barros, located in the heart of one of the richest agricultural areas more fertile of Spain. 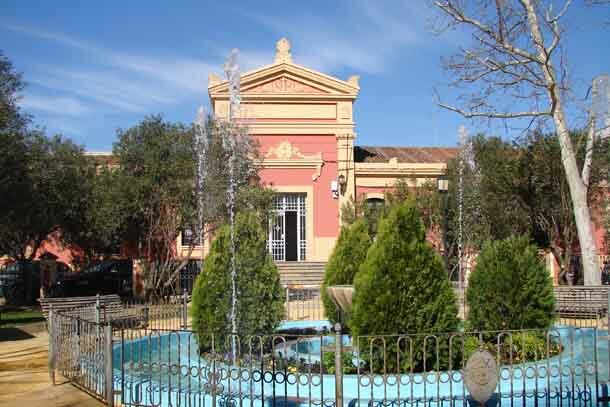 The wine industry and olives have forged these enviable qualities, which joins together with his characteristic romantic tradition, the precious title outsiders have made: City of the Cordiality. 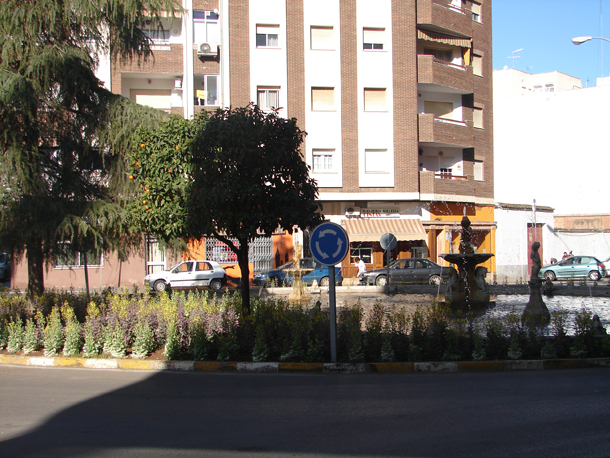 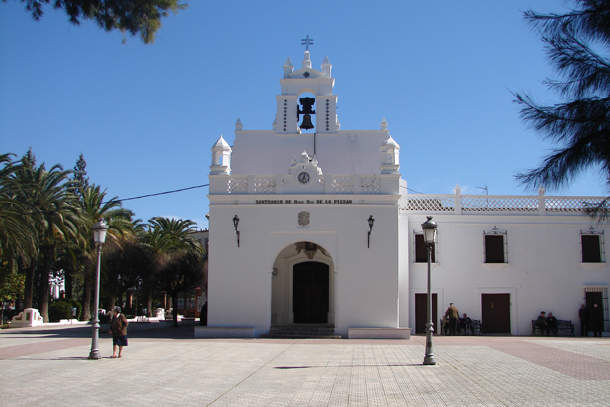 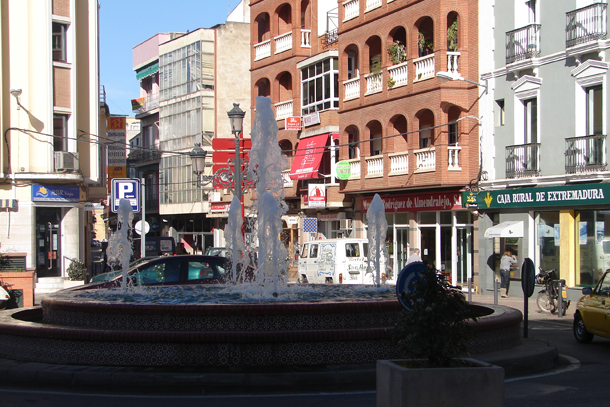 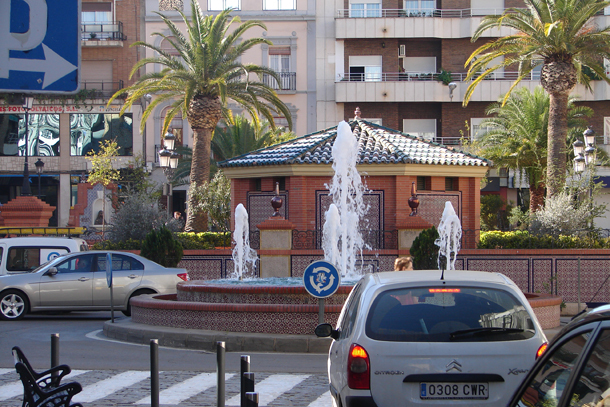 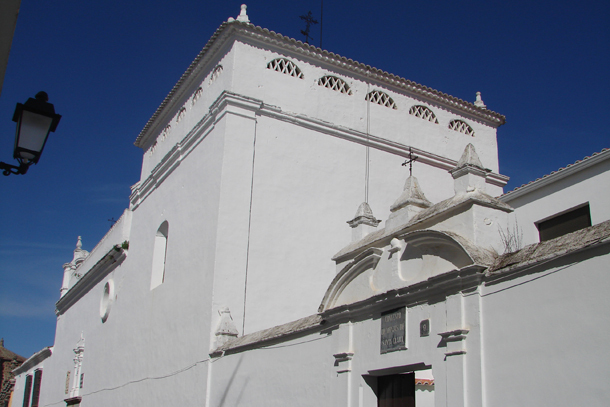 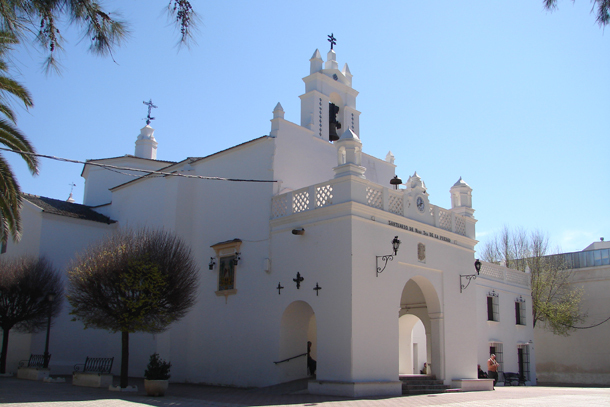 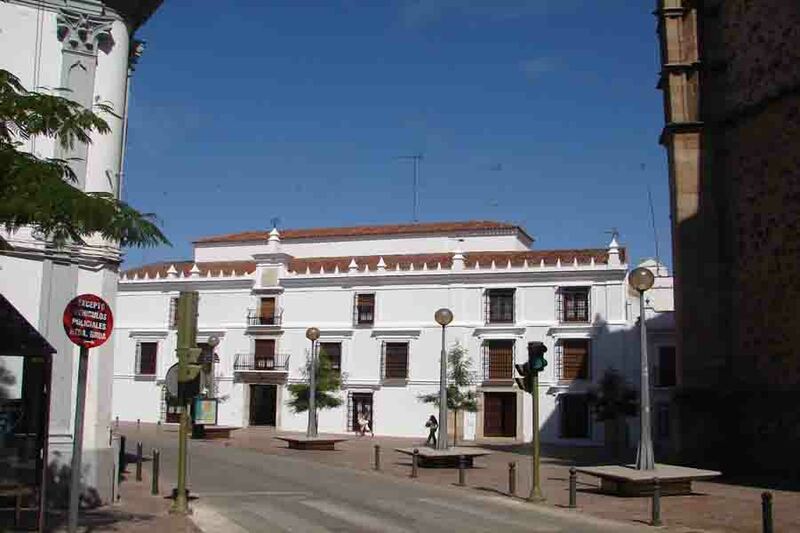 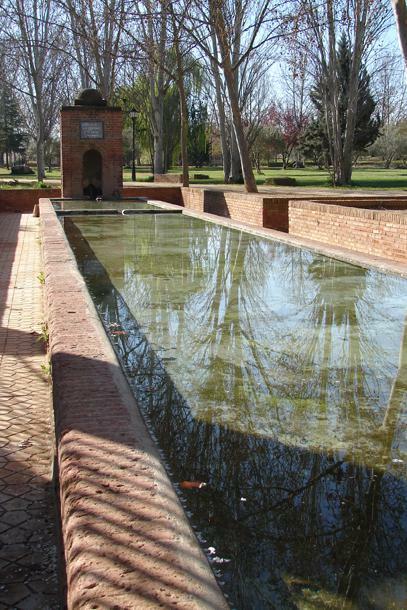 Capital of distric of the Land of Barros, the town of Almendralejo was set outside the Ruta de la Plata, extiendiéndose at present, west of the via rail Mérida-Sevilla and Highway Via de la Plata. 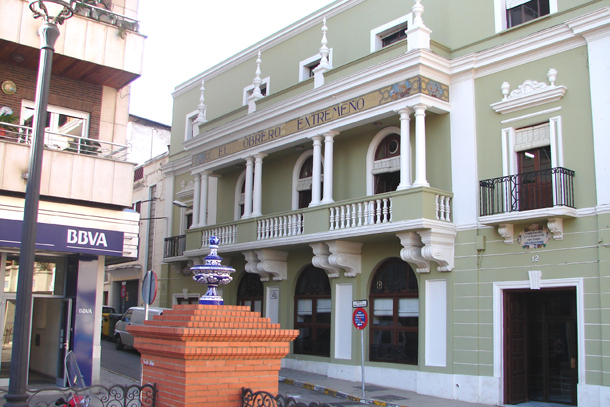 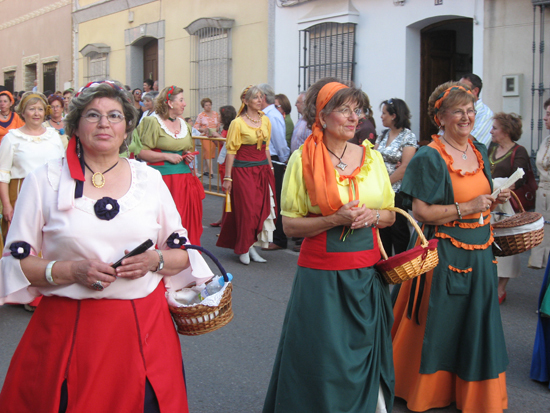 While its tradition agricultural goes back to ancient times, its existence as a core population is not referenced to the year 1327, to be granted to a number of privileges Merida on territories occupied by the current city. 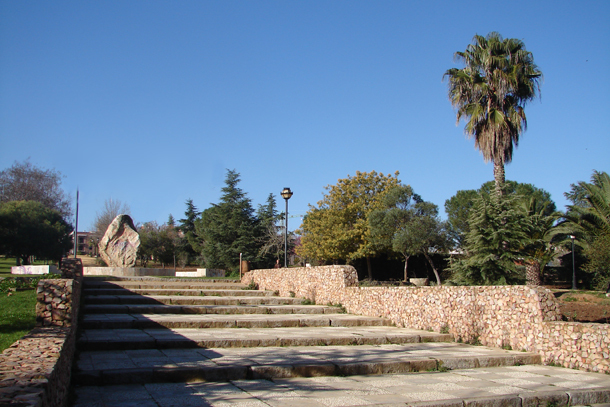 The area is rich in archaeological sites, attesting to the existence of small agricultural nuclei from prehistoric times, revealing himself abundant remnants of Roman villas. 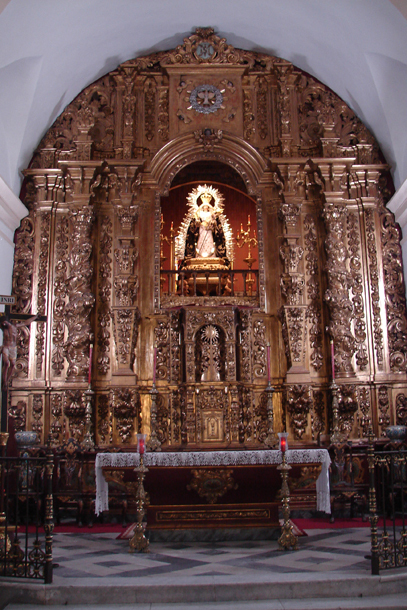 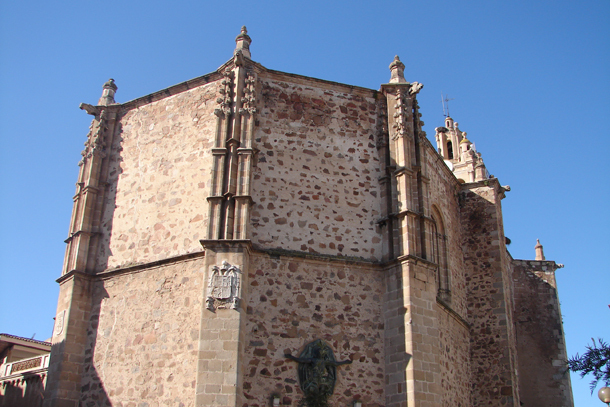 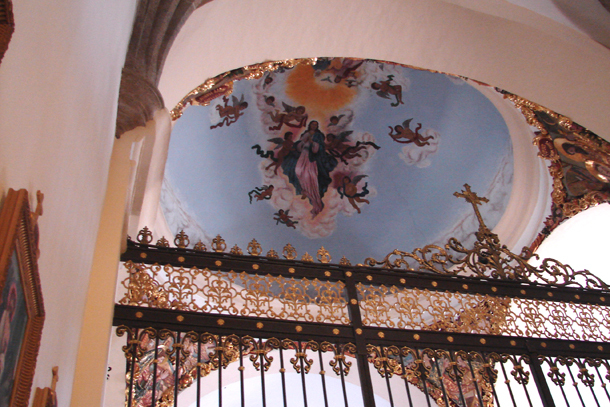 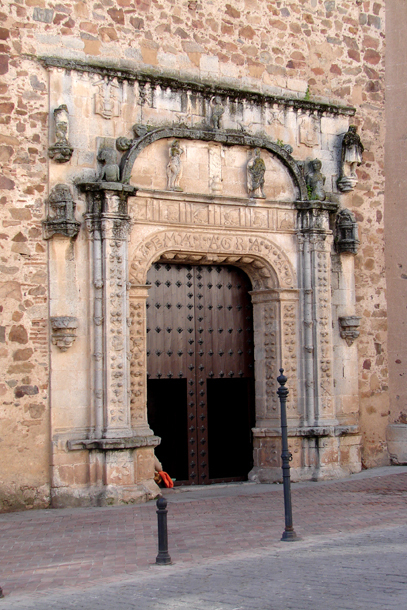 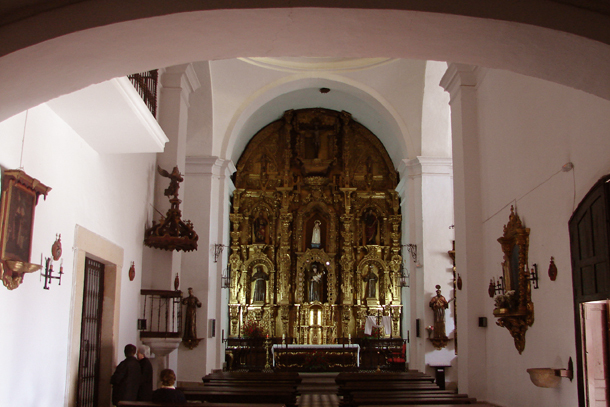 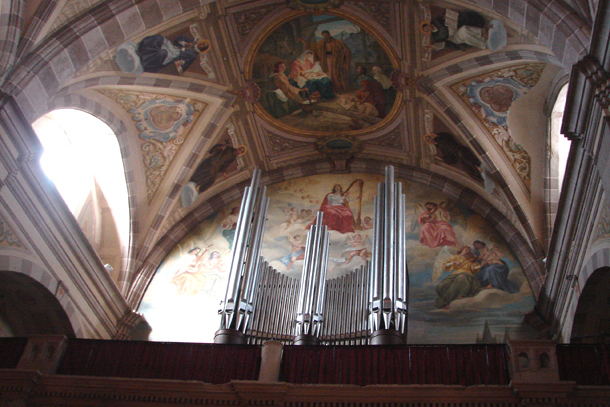 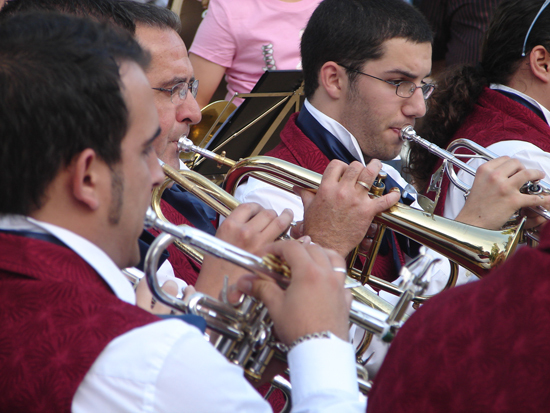 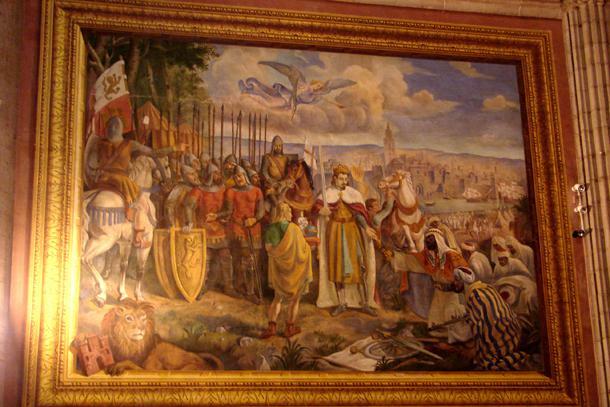 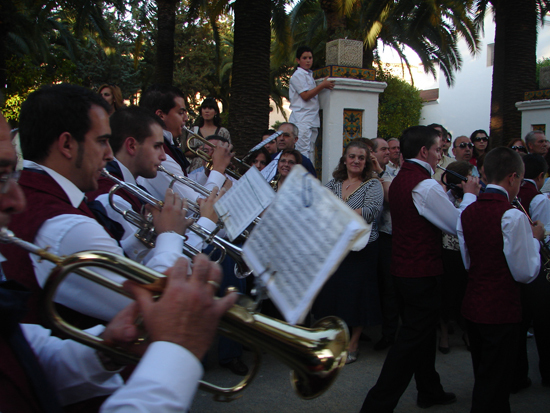 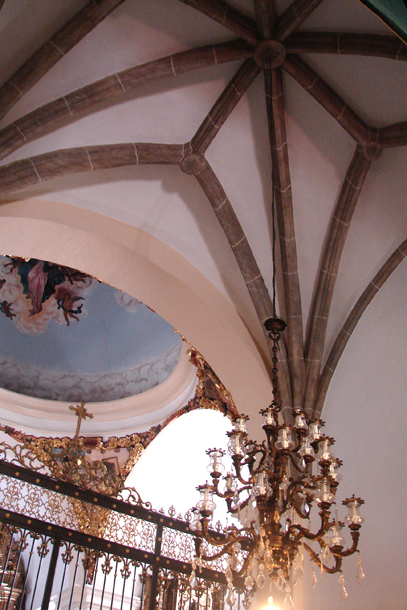 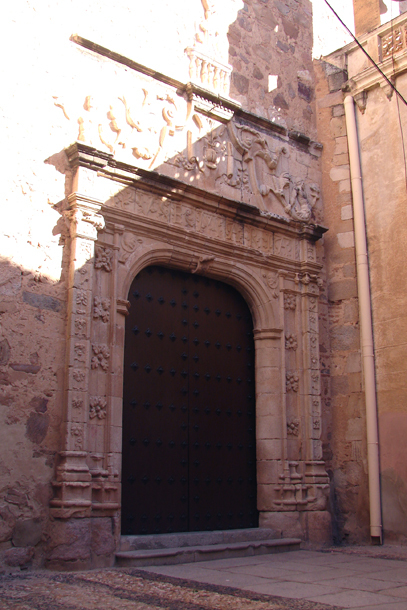 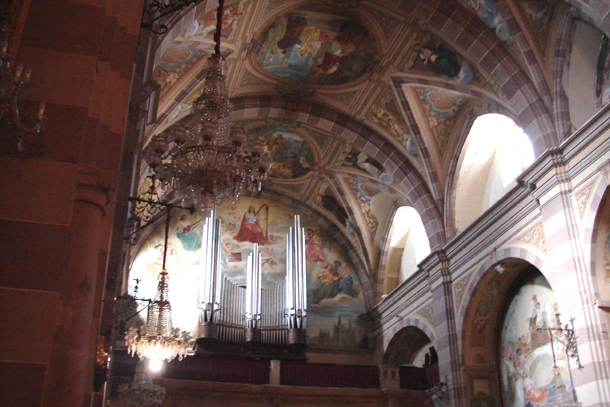 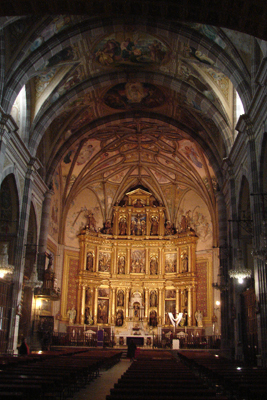 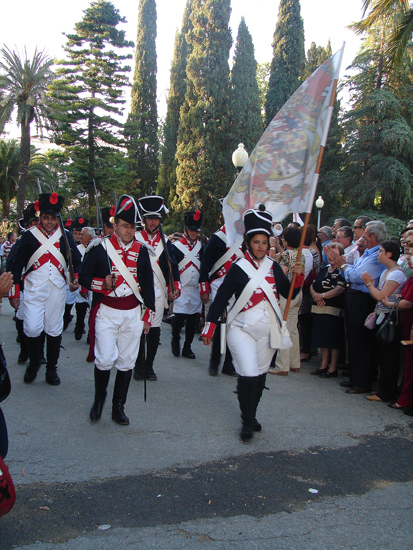 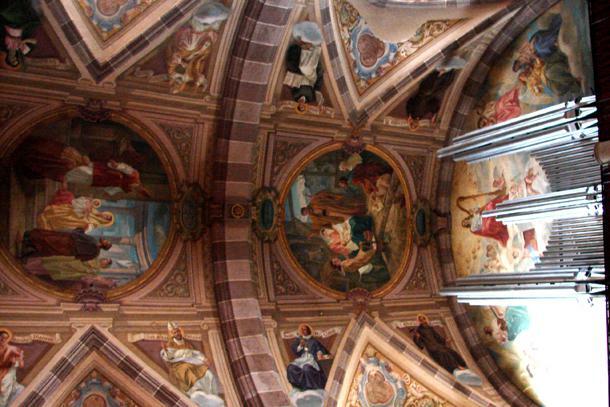 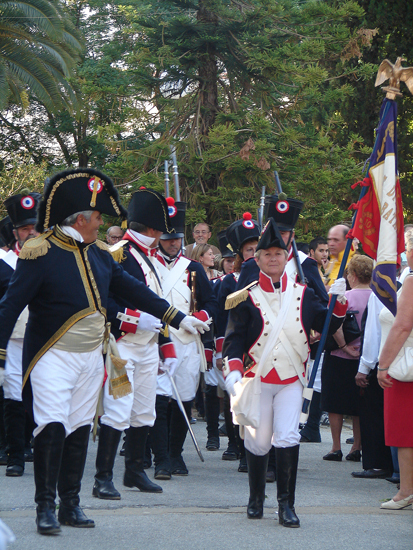 After the Reconquest residents come from the kingdom of Leon, sponsored by the Order of Santiago, suponiéndose at that time began the final creation of the population, around his parish church and the Commendation of the Order. 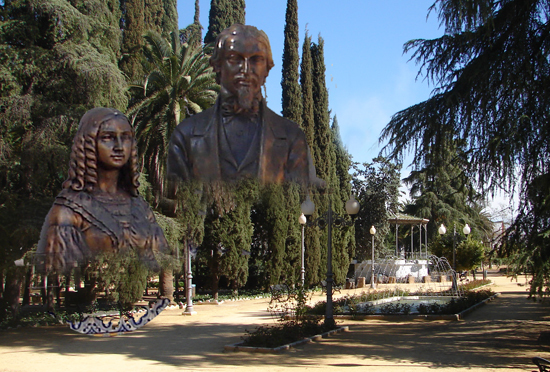 Opinion be, that the soil was heavily populated with almonds, this circumstance giving rise to the name given to the new city. After his unit Merida, went to belong, after various events, to the city of Seville in 1573, together with a number of territories in the southwestern province of Badajoz. 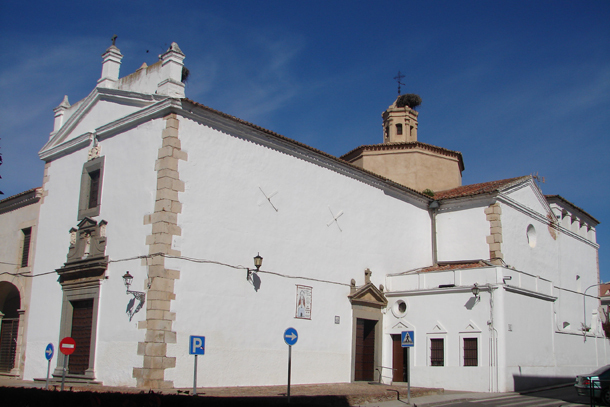 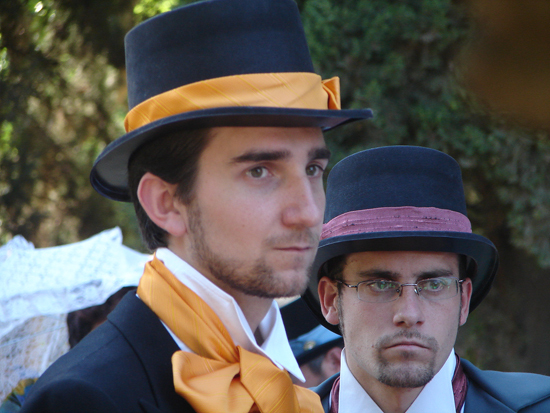 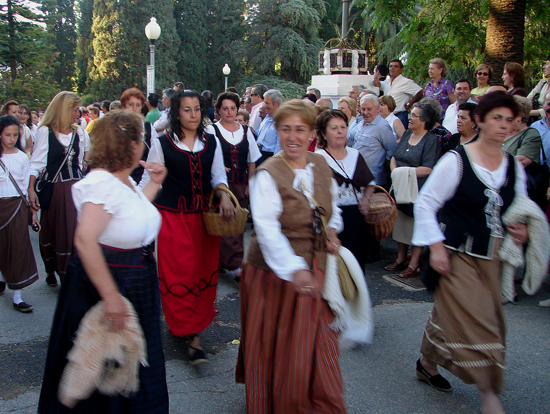 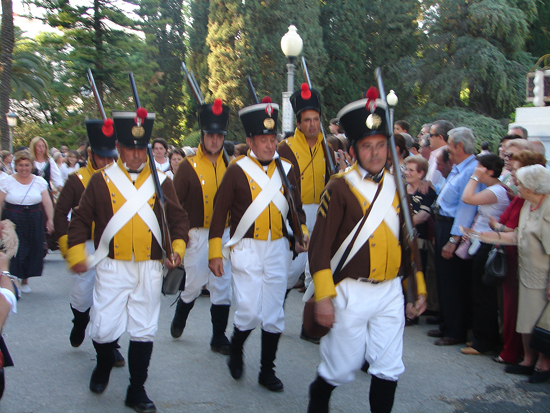 Until the year 1665 fails to have its own identity, when you get the category of "village realenga", governed by a Lordship, depending on the prior of Saint Marcos. 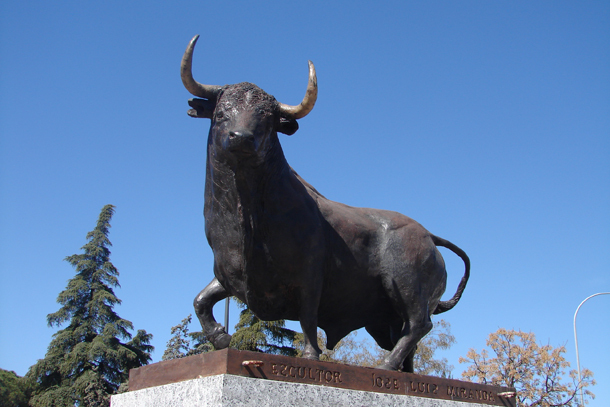 His character was characterized by its agricultural lands cereal, which later became alternated with vines and olive crops, which were gradually giving it a leading role in the world of wine and olives. 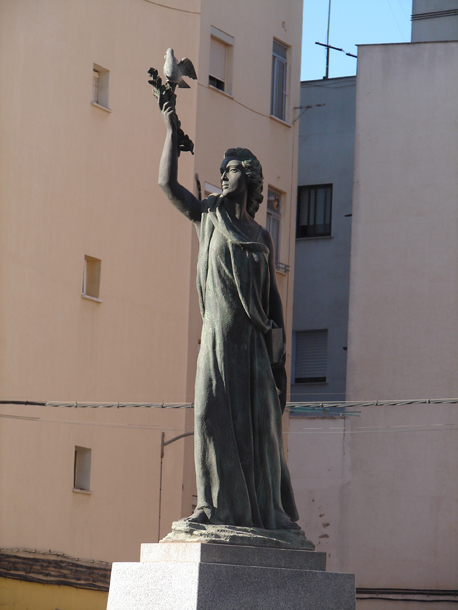 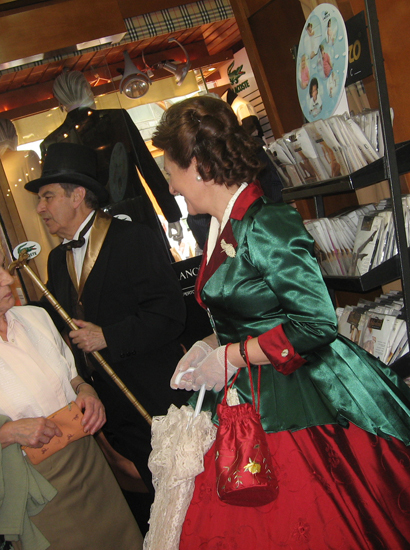 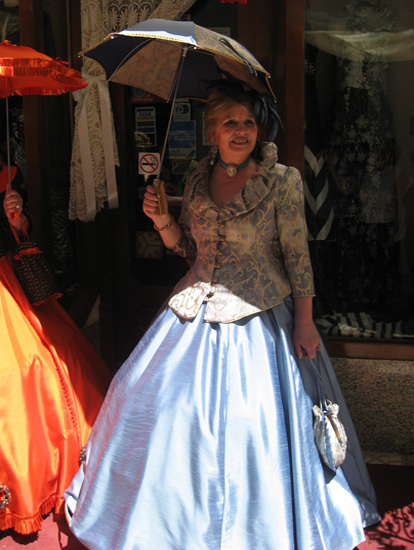 She gained the title of City through a royal decree of Queen Elizabeth II in the year 1851. 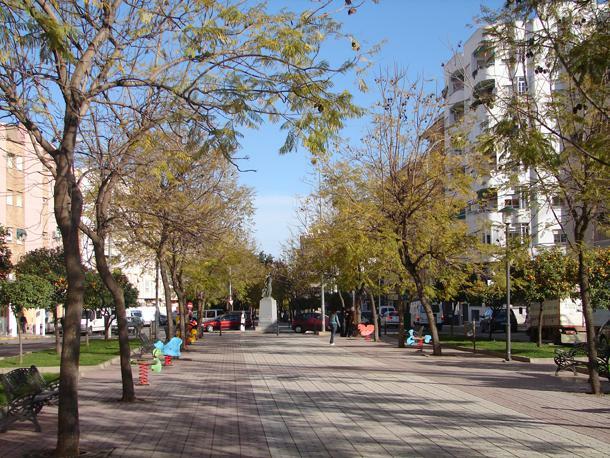 After that date the city is progressing continuously building on the work of its people, the fertility of its land and its rich unique climate, fostering the emergence of a very important industry for the treatment and processing of the products of their land. 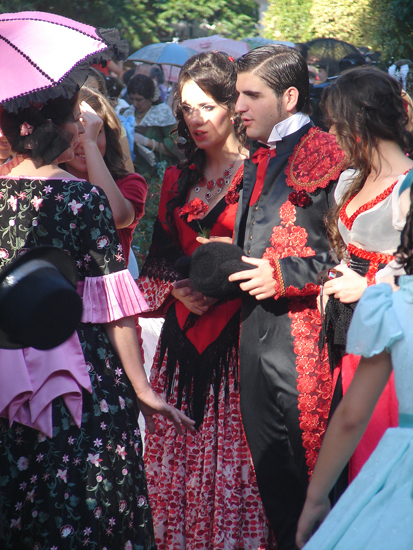 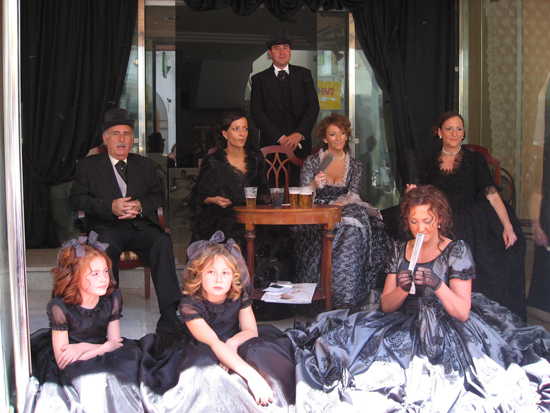 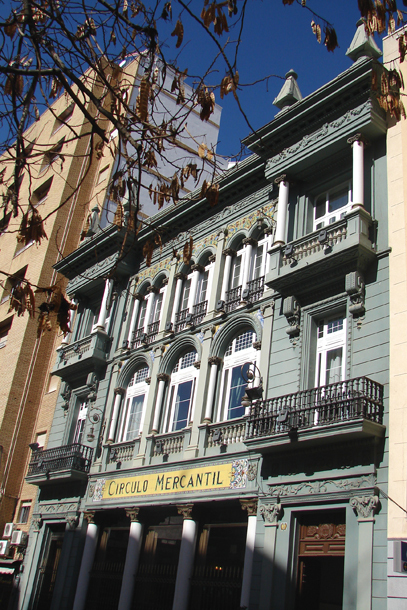 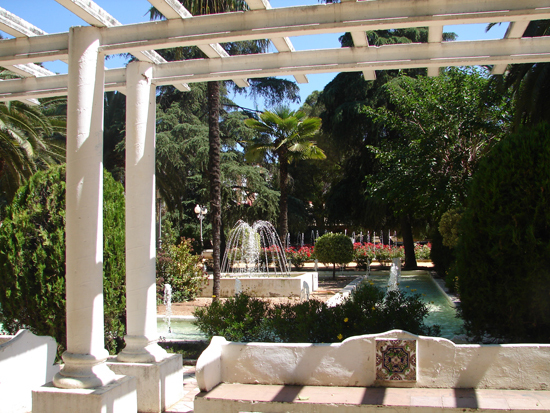 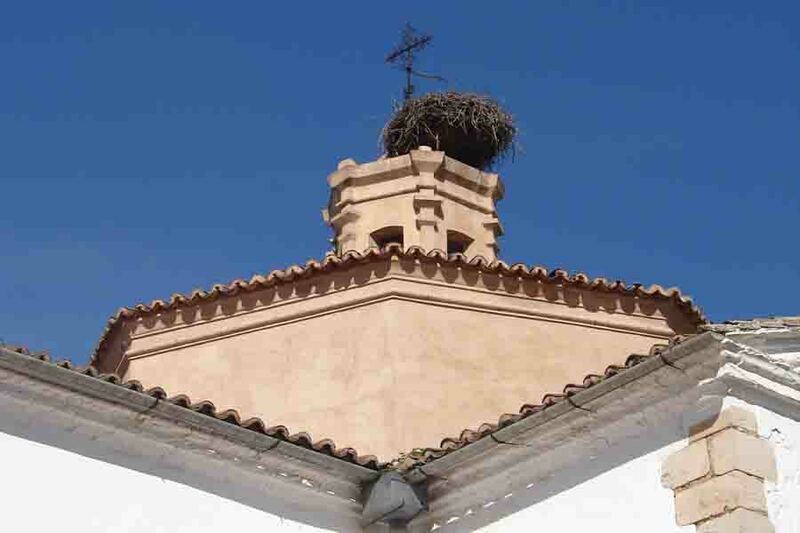 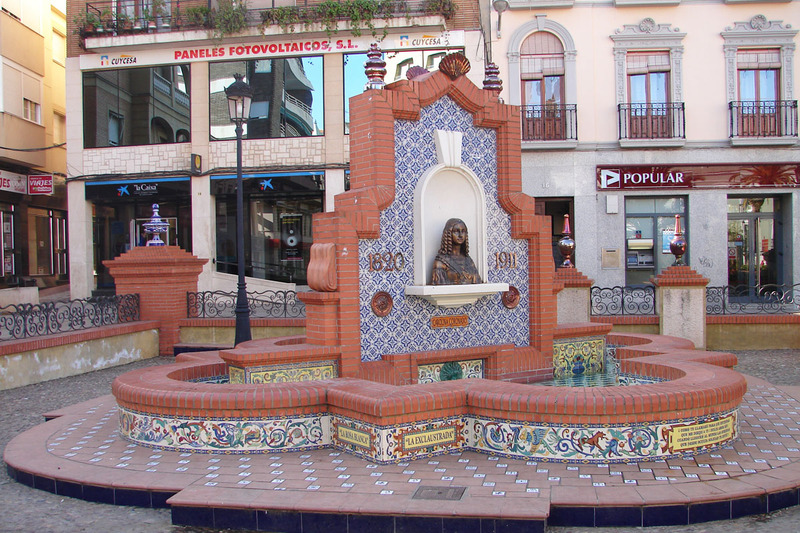 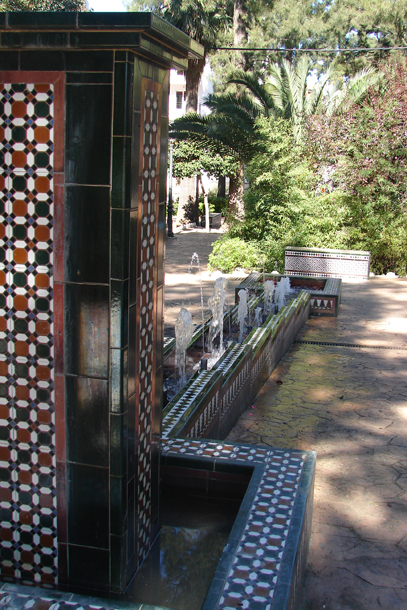 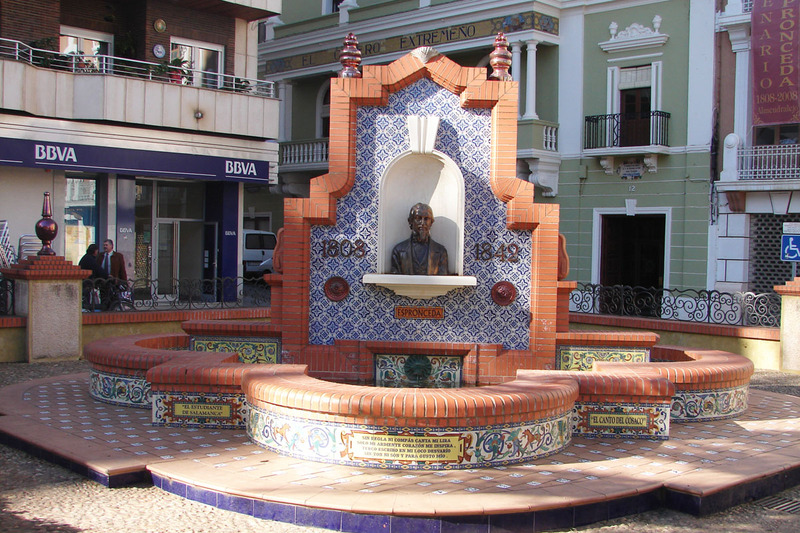 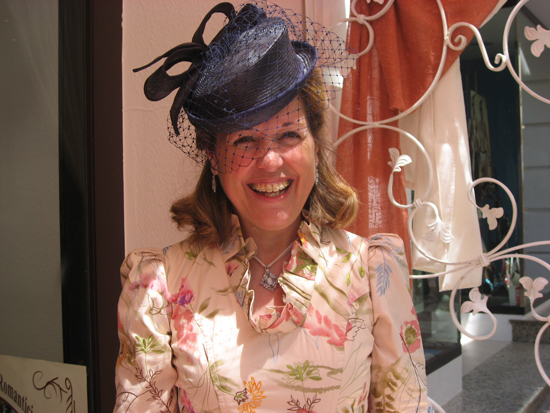 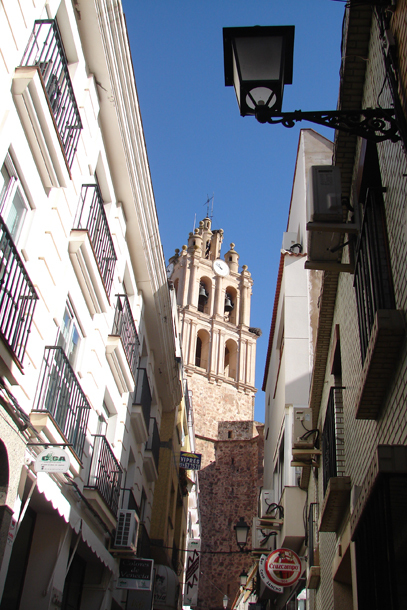 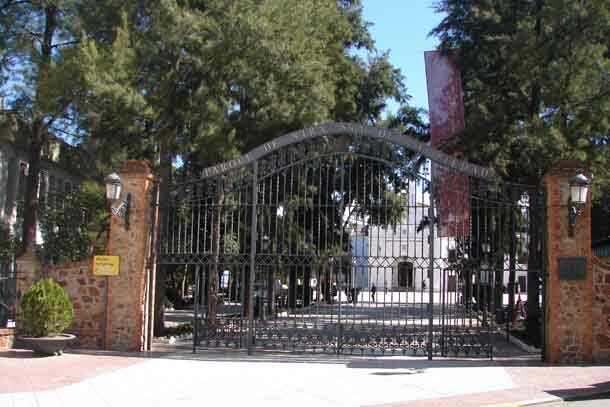 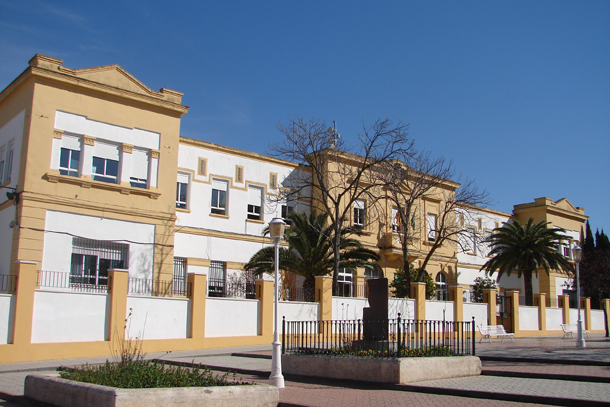 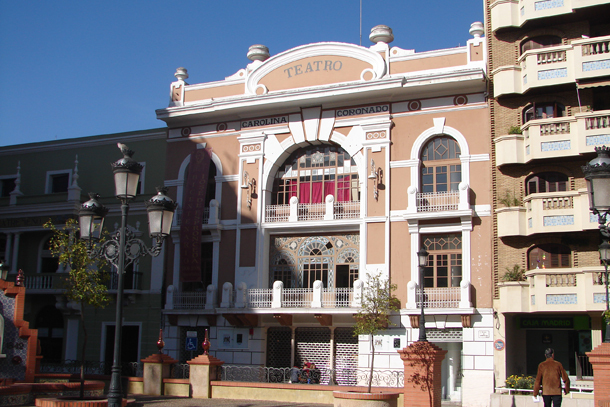 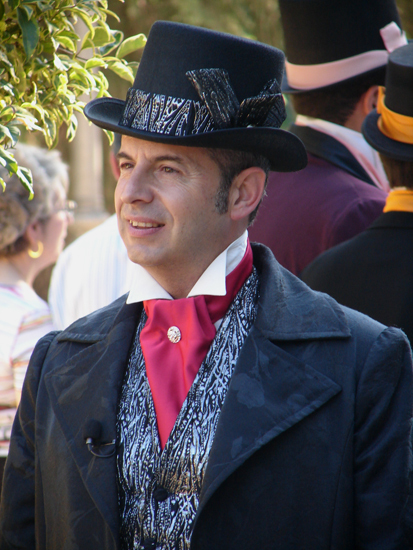 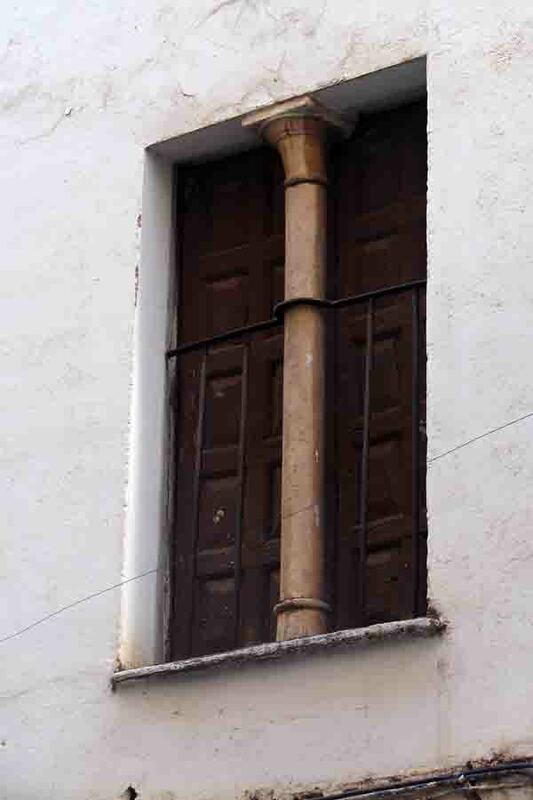 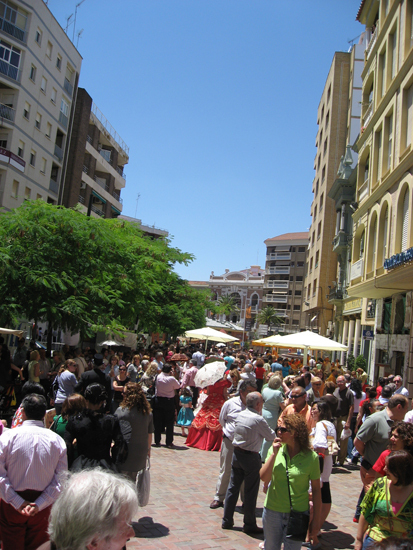 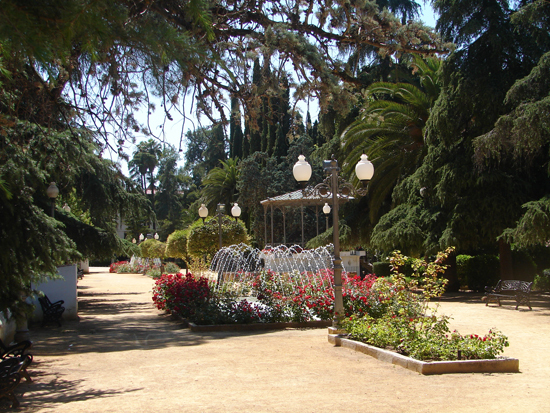 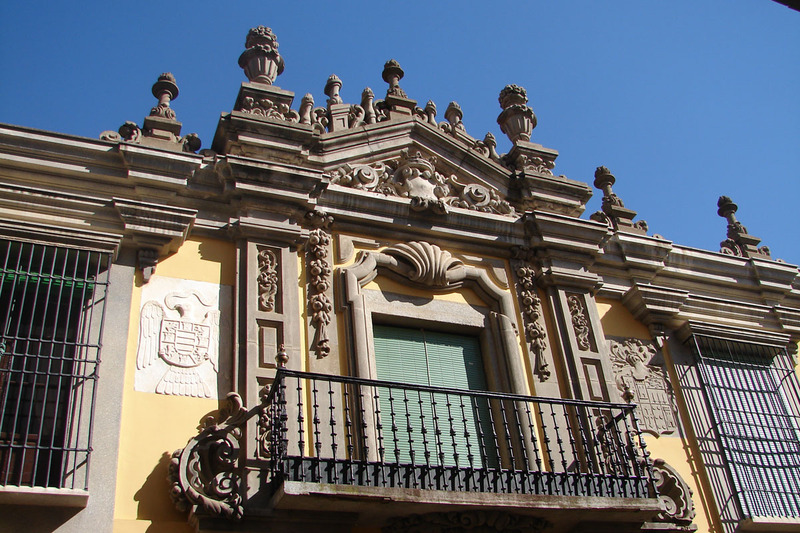 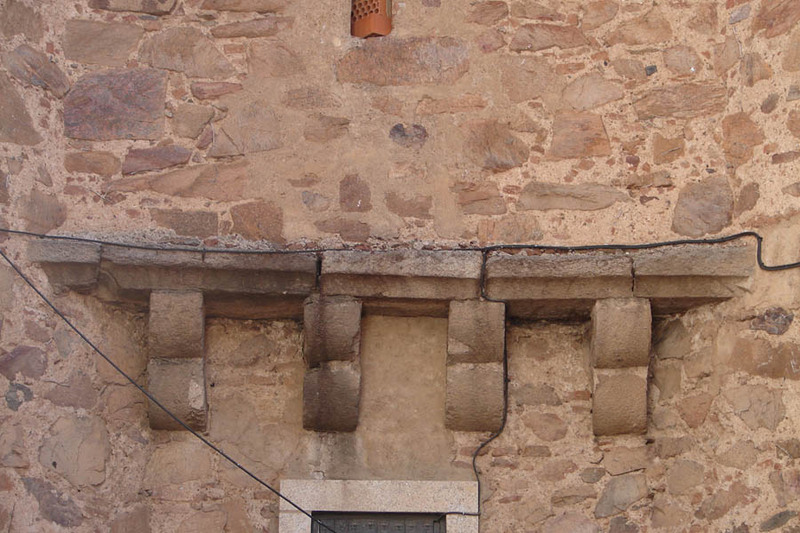 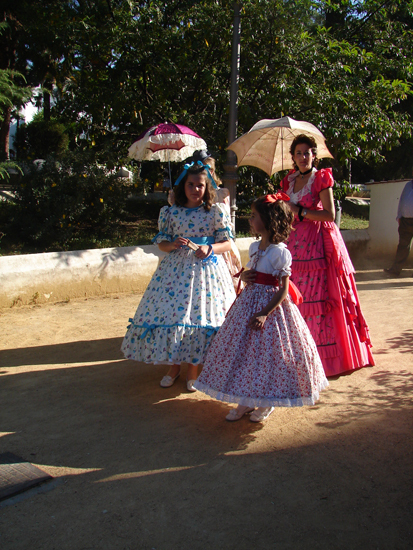 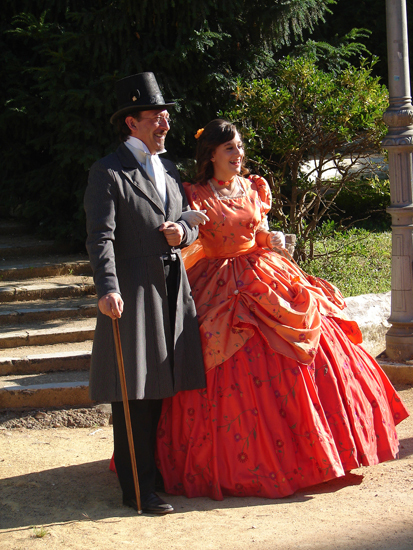 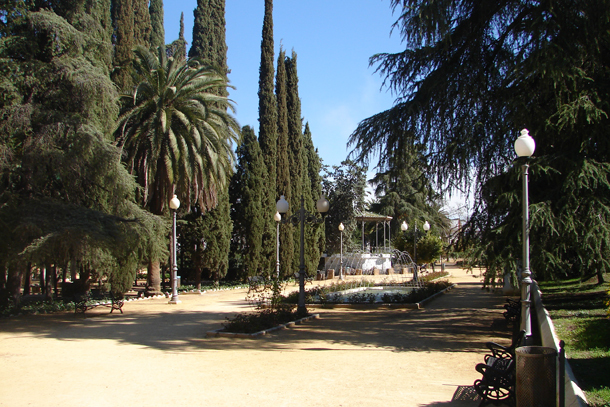 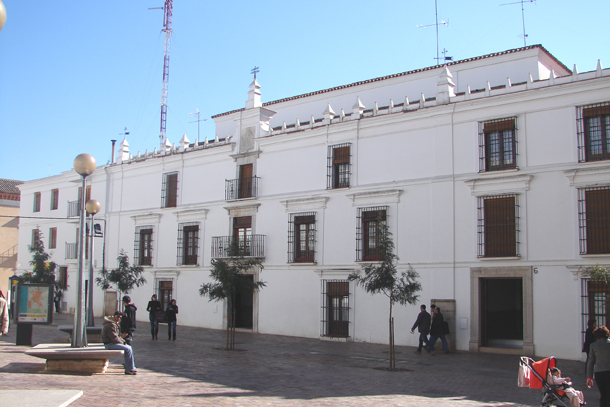 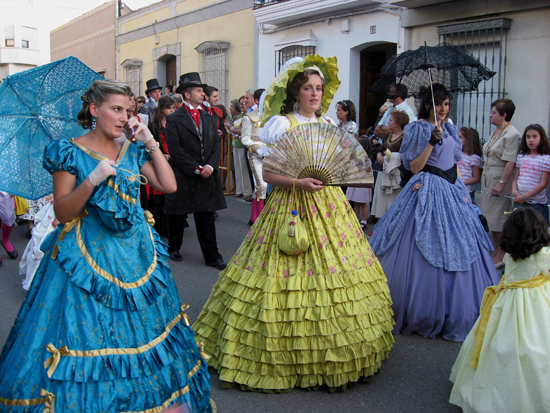 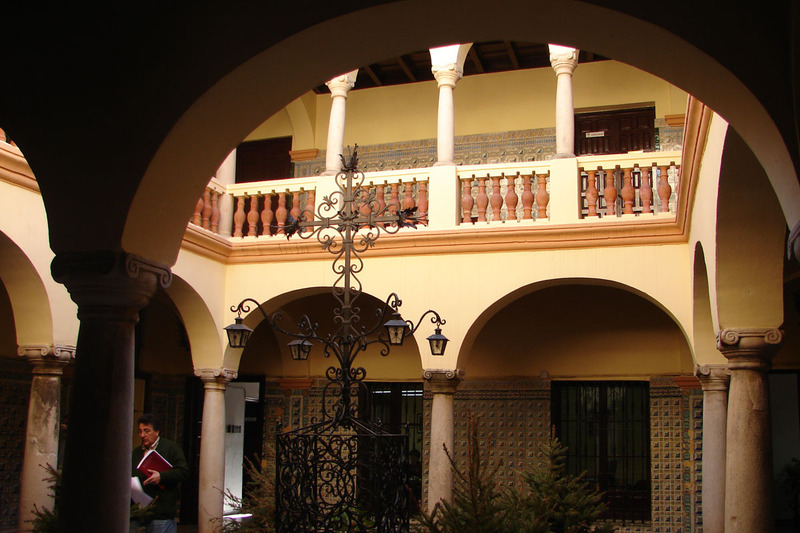 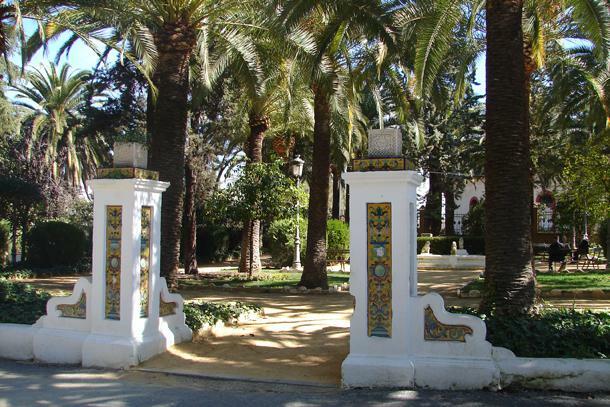 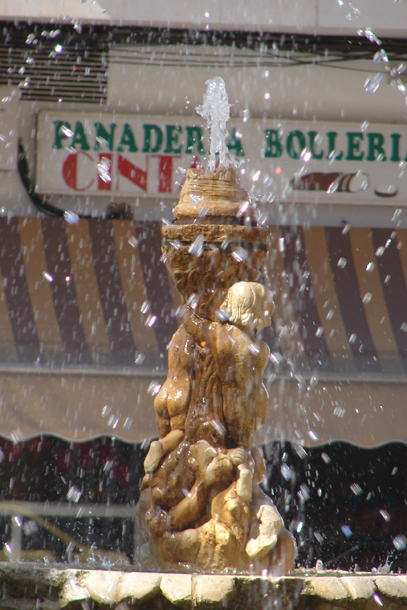 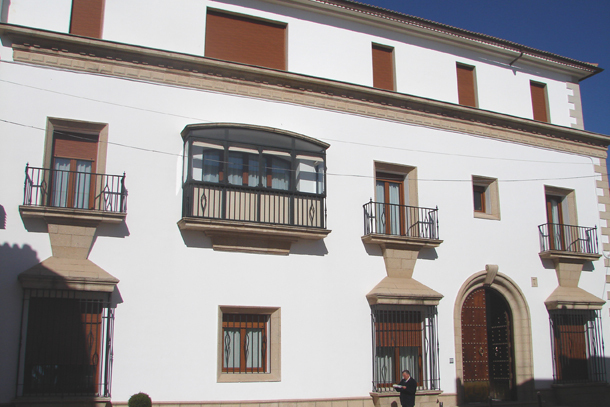 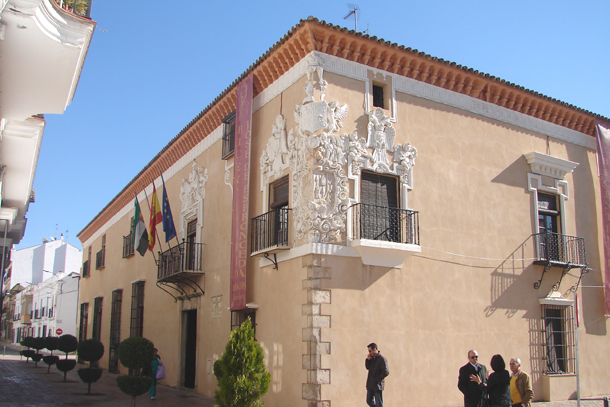 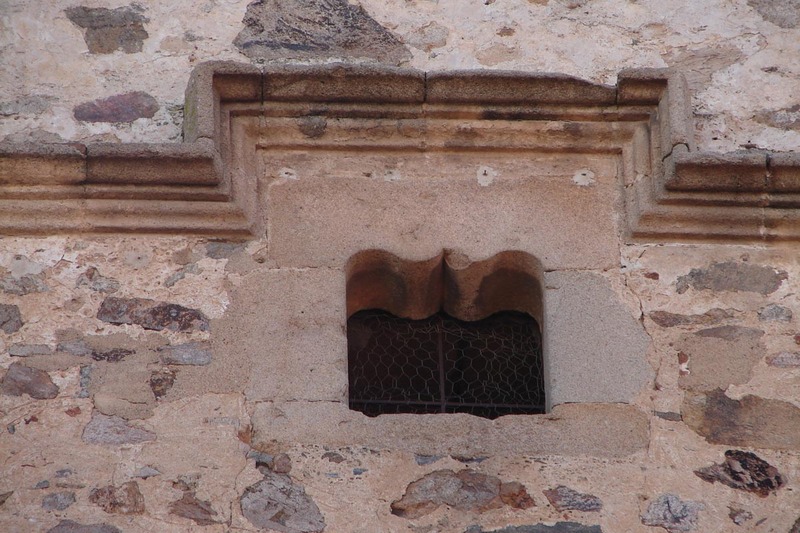 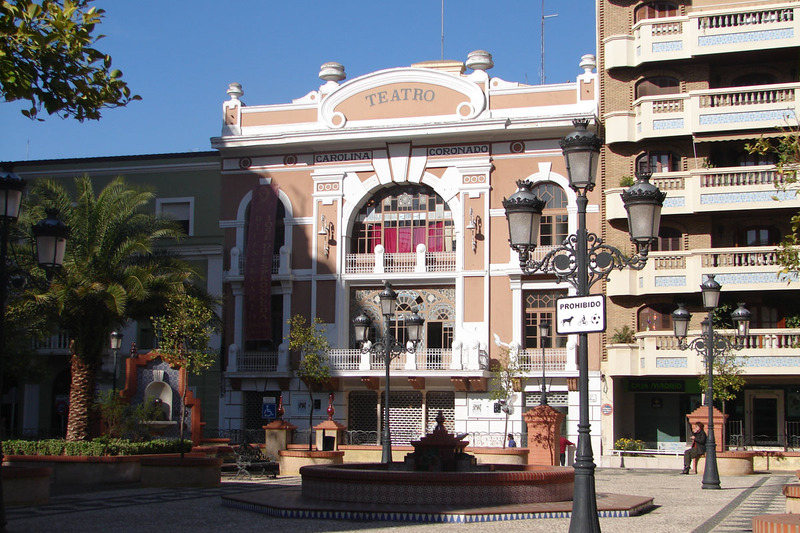 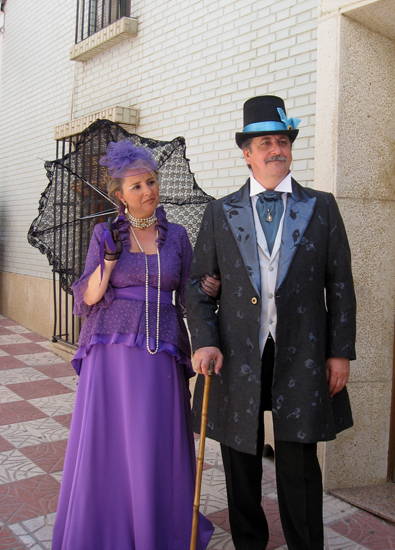 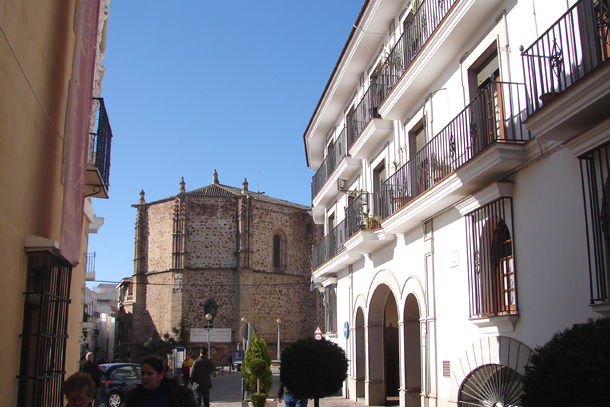 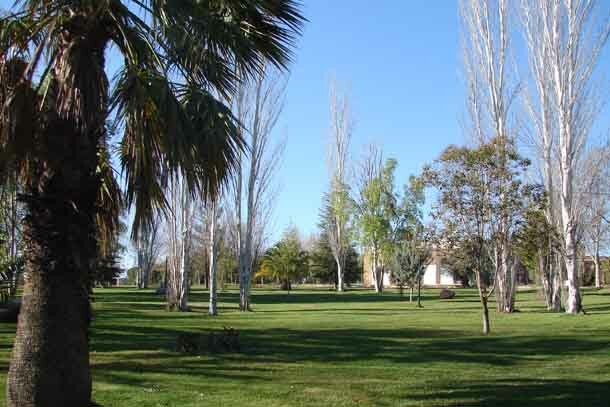 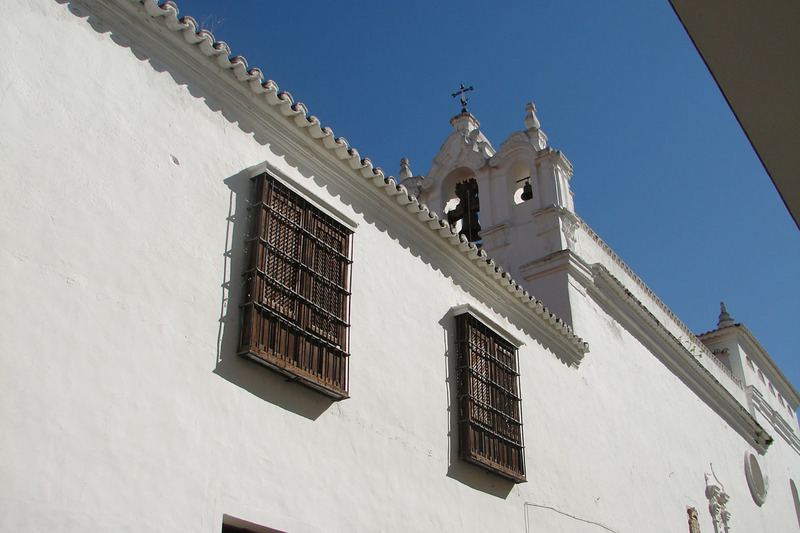 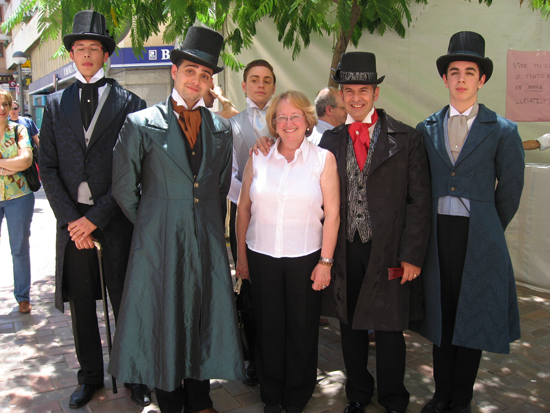 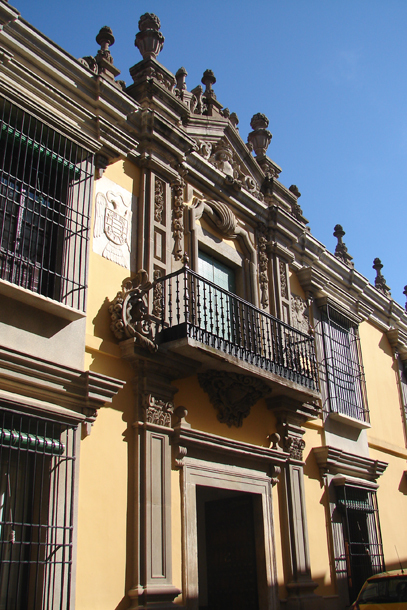 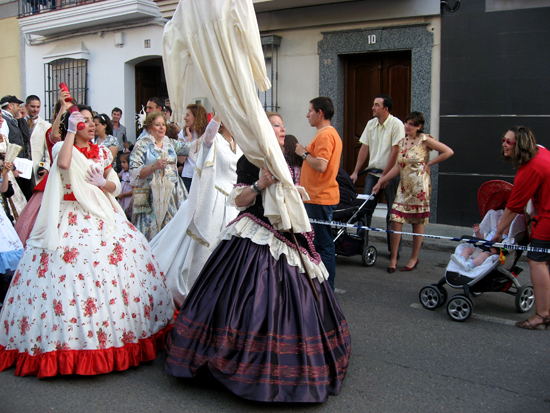 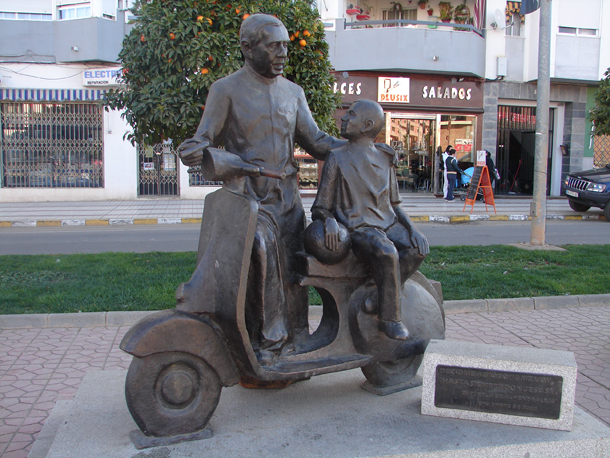 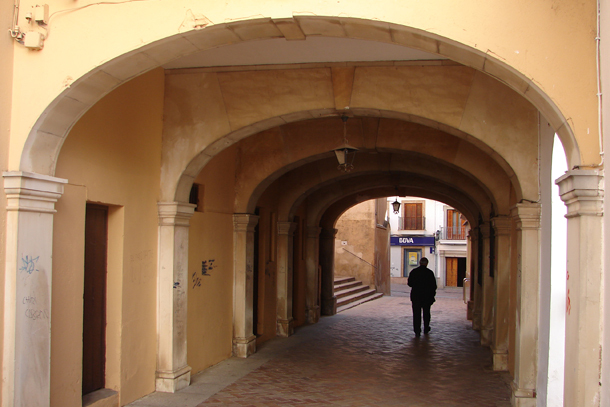 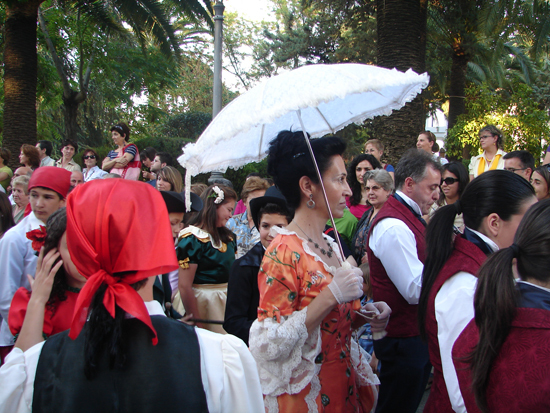 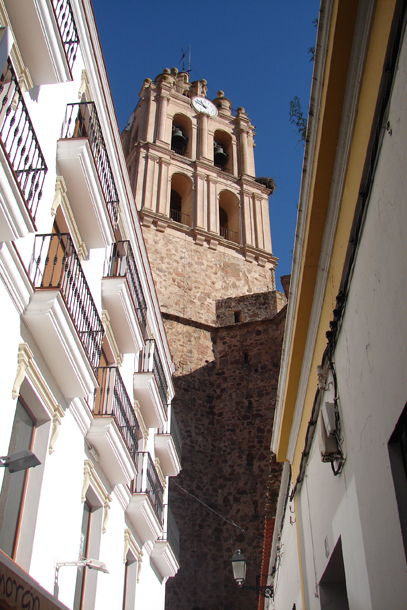 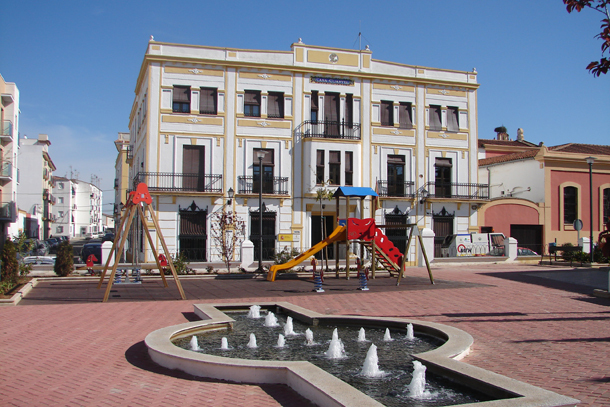 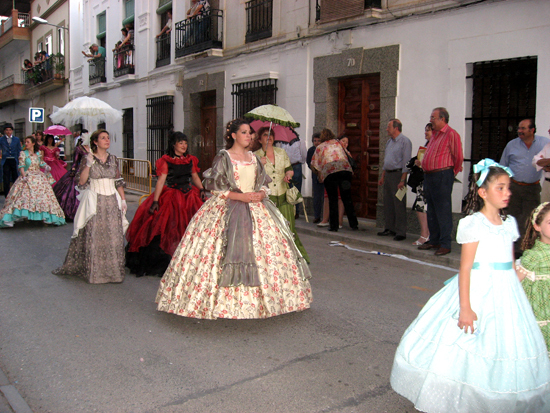 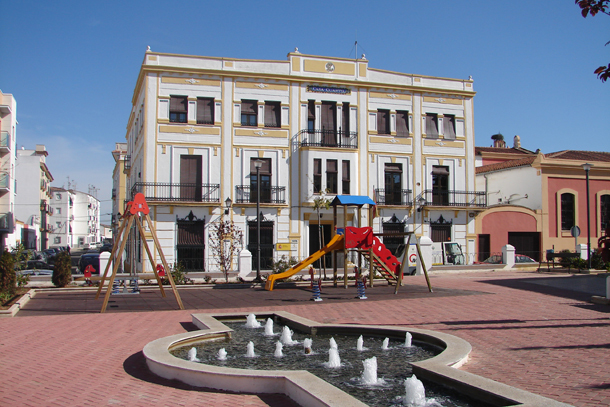 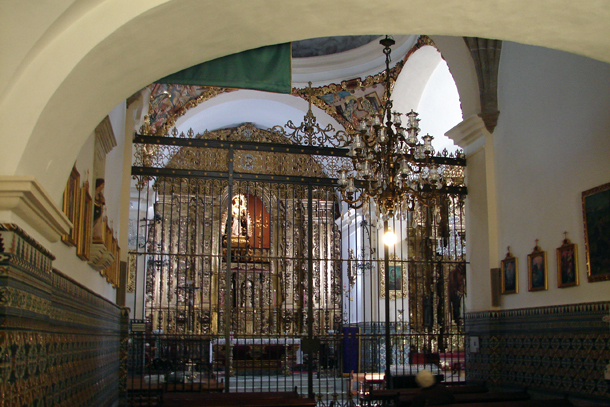 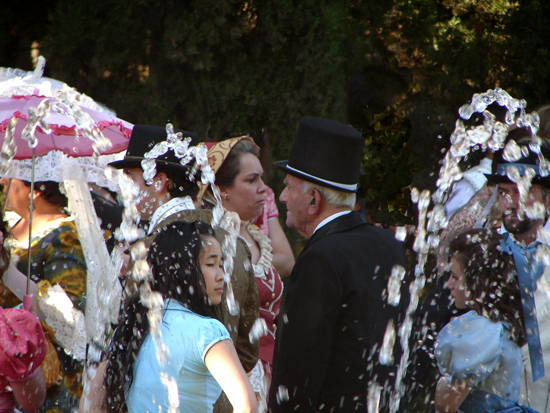 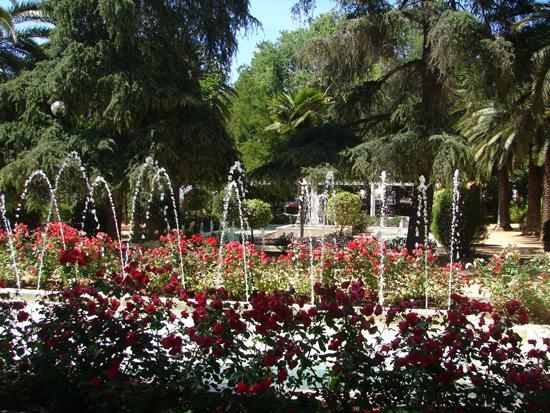 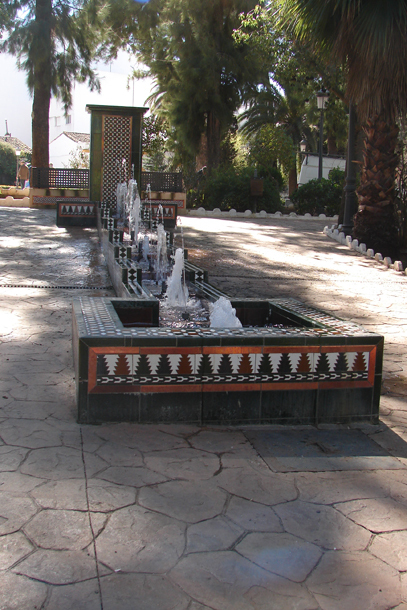 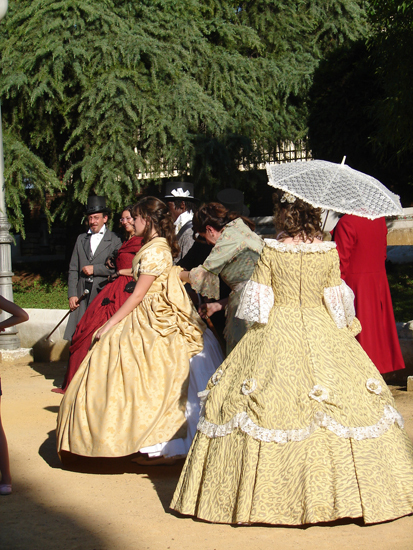 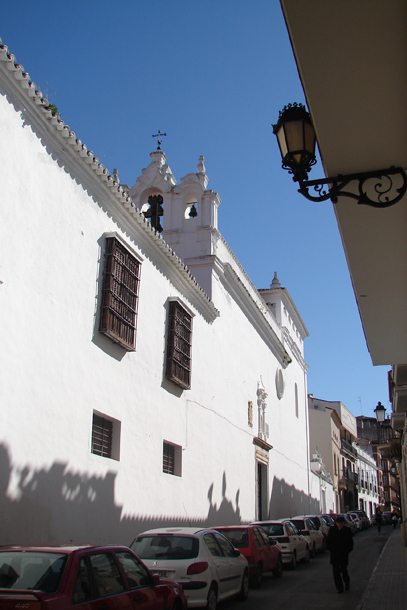 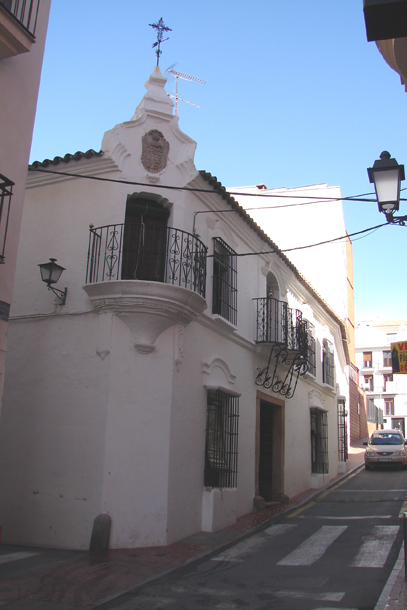 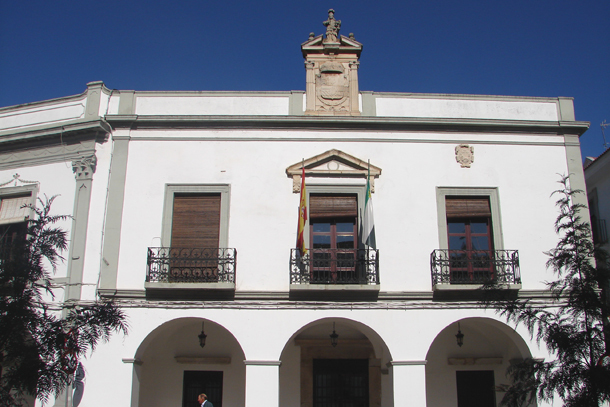 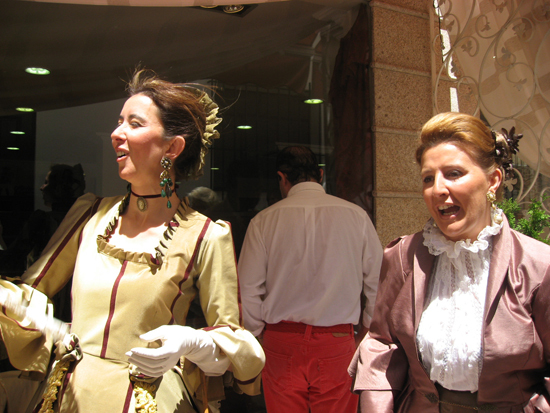 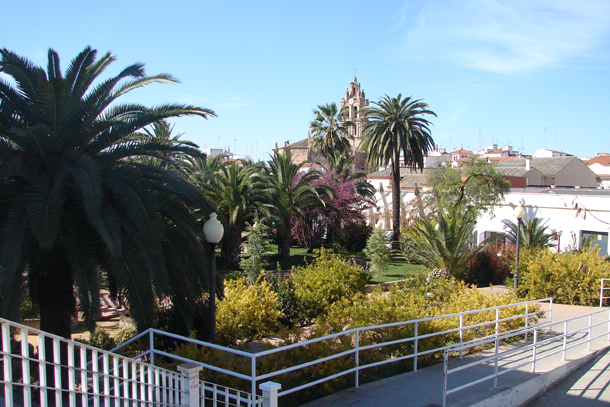 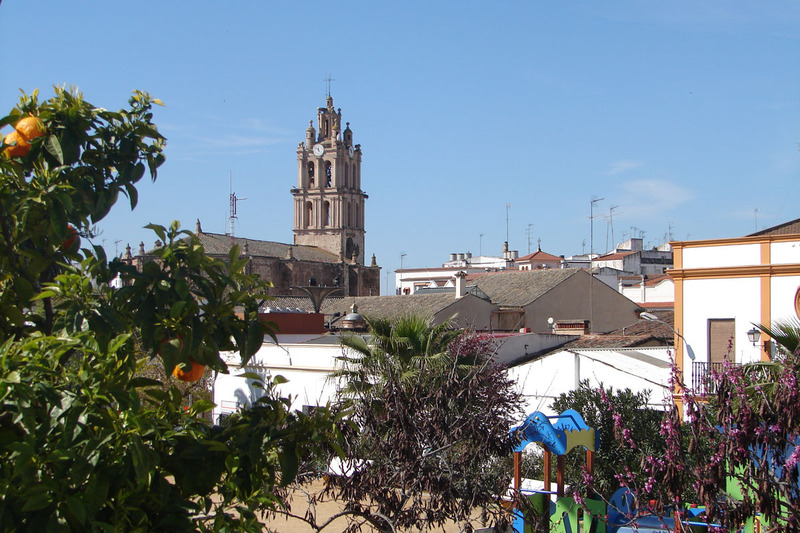 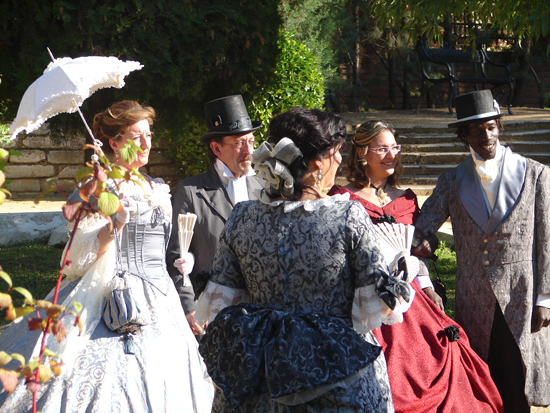 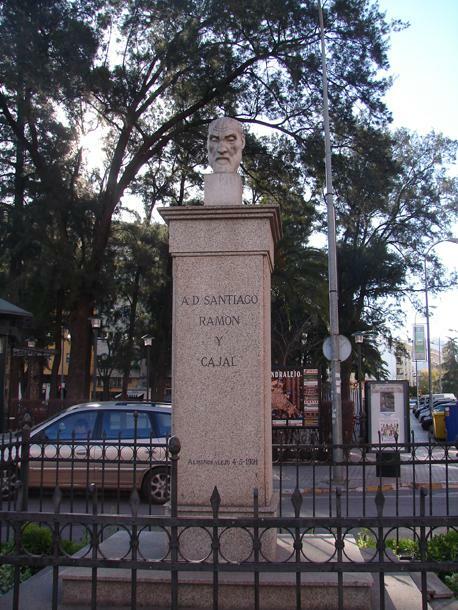 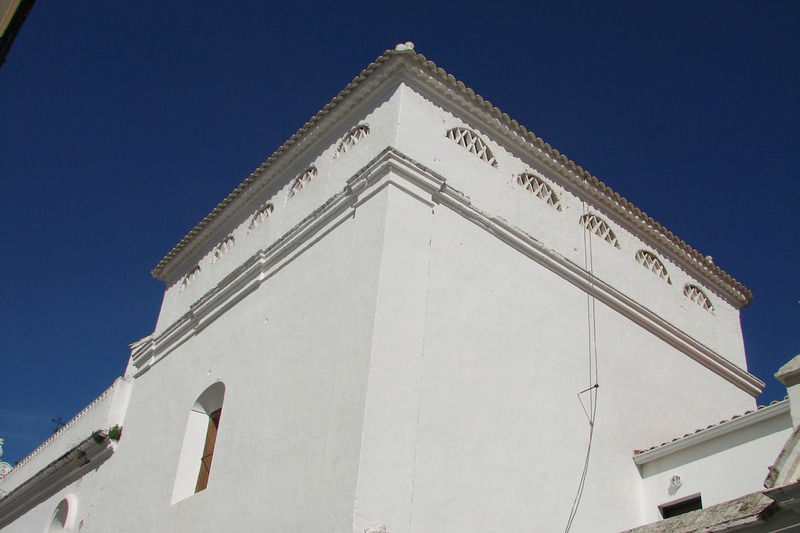 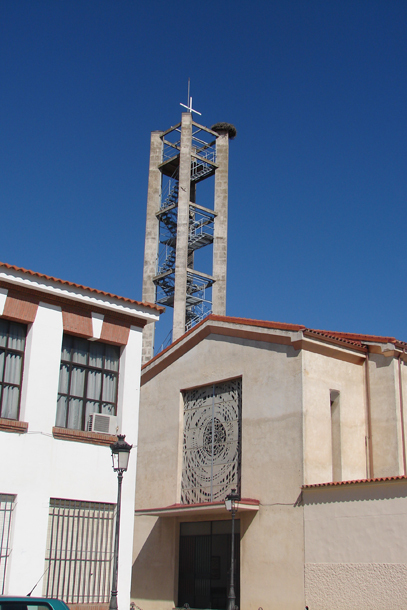 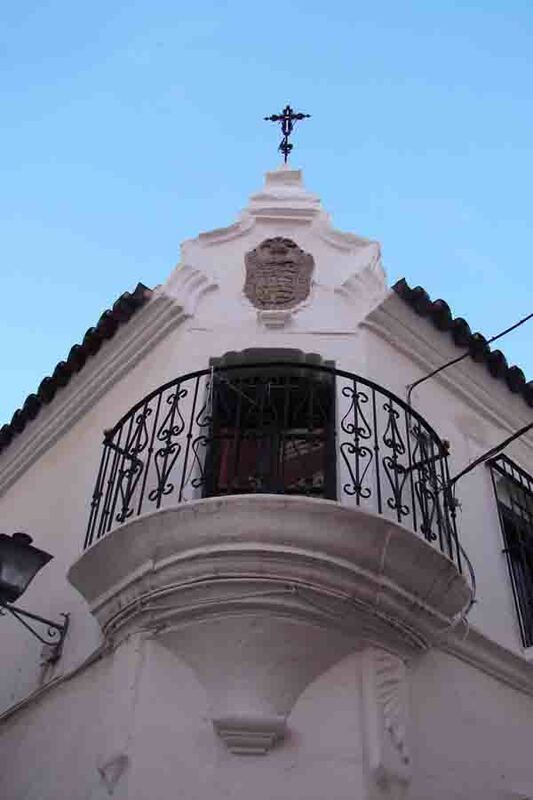 Almendralejo is also the city of Romanticism, the cradle of men and women of letters, famous feather, as the poet Carolina Coronado and Romero de Tejada and the revolutionary Jose de Espronceda, author of the renowned Pirate Song and student Salamanca. 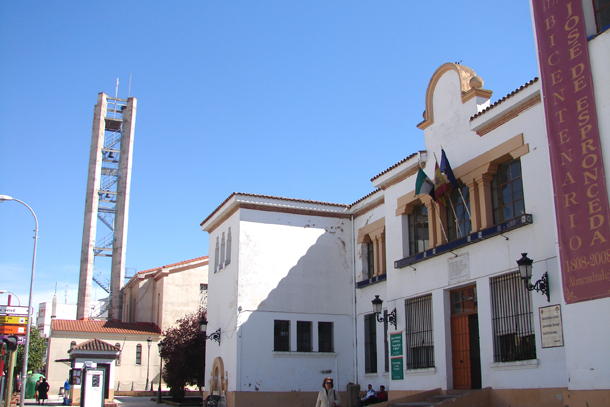 Proliferaron warehouses and mills, thus creating a richness added that enabled its development and growth, resulting in one of the most important cities of Extremadura, with more of 30,000 inhabitants and some business envelopes, which have become one of the first producers wine and Spain have risen ownership City International Wine. 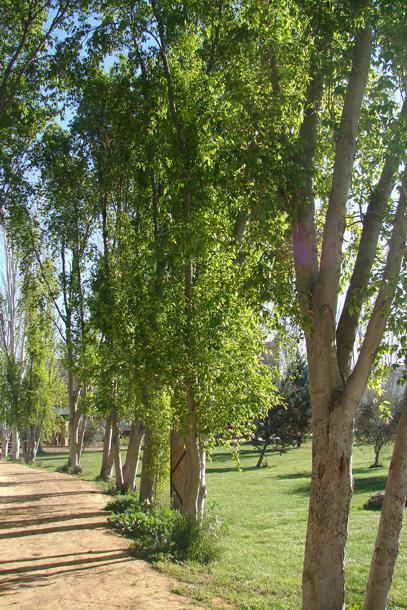 Every spring, the miracle takes place. 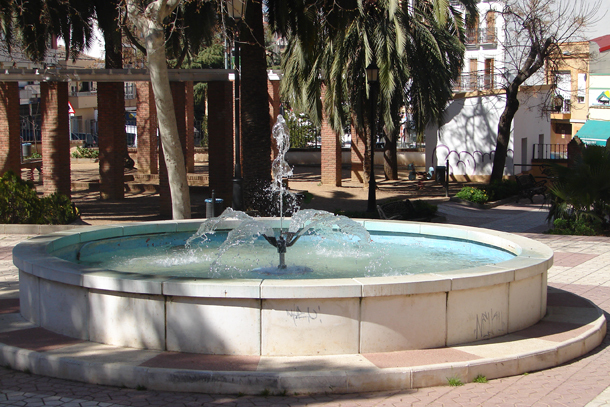 The spouts of the Park of the Piety seem to invest his cantarino flow and the urban landscape flooded by the lights of the late afternoon seems retrocer in the time. 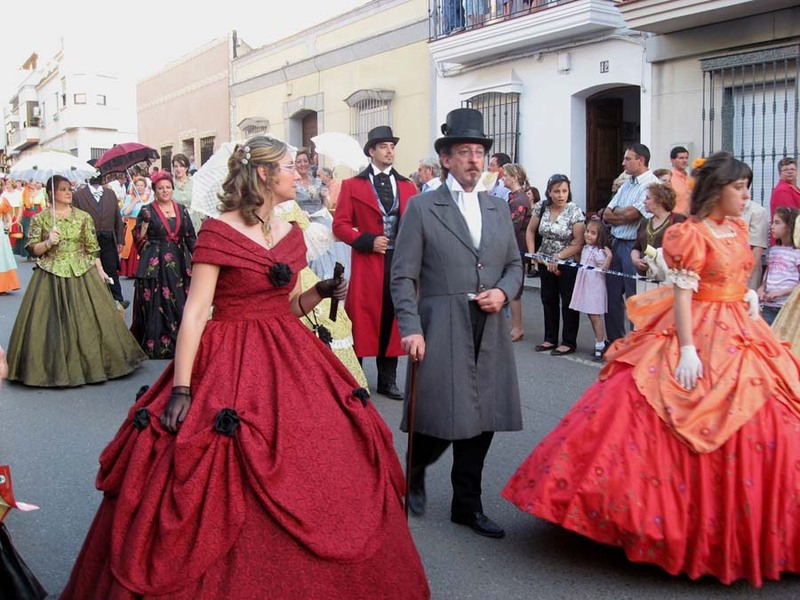 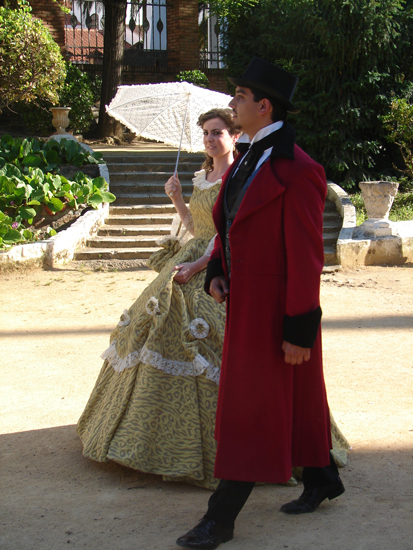 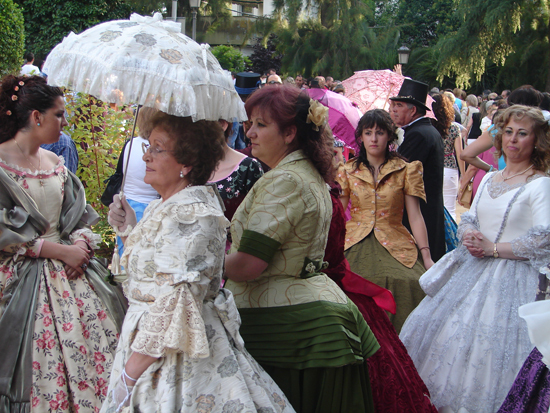 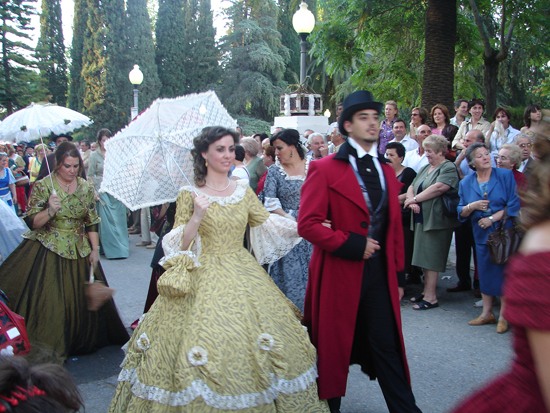 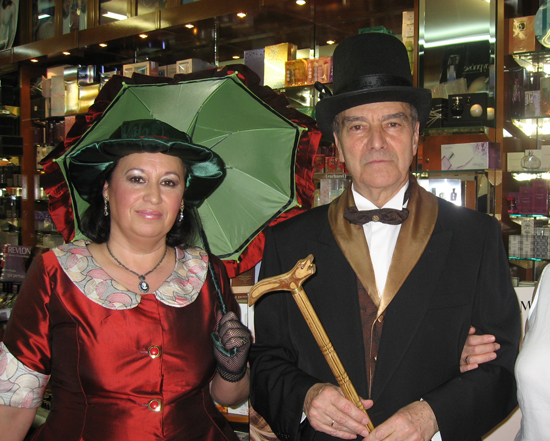 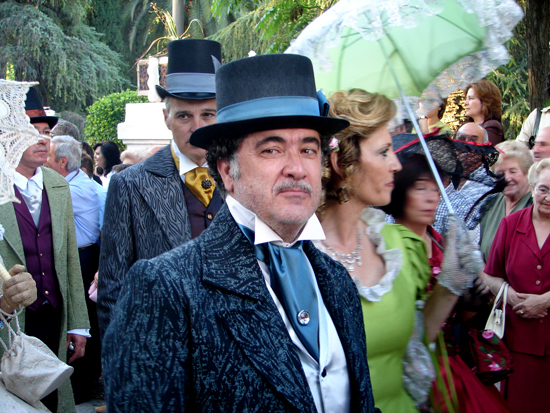 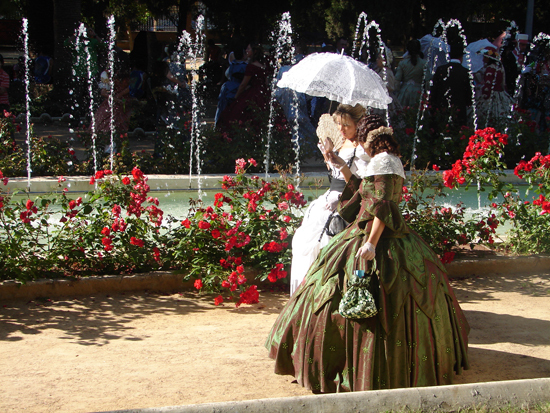 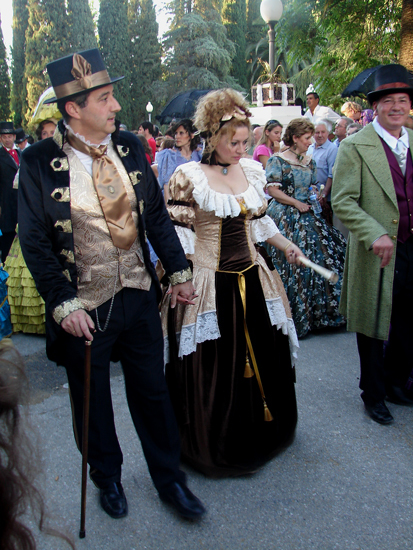 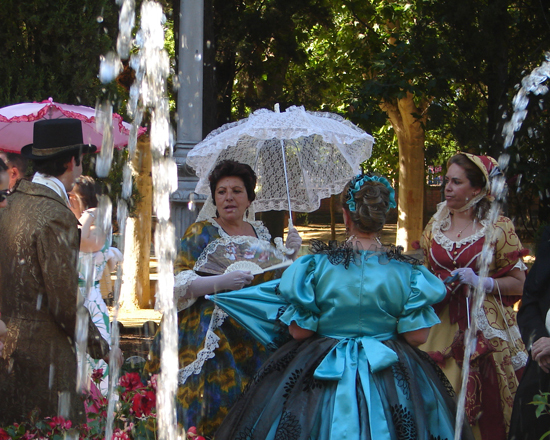 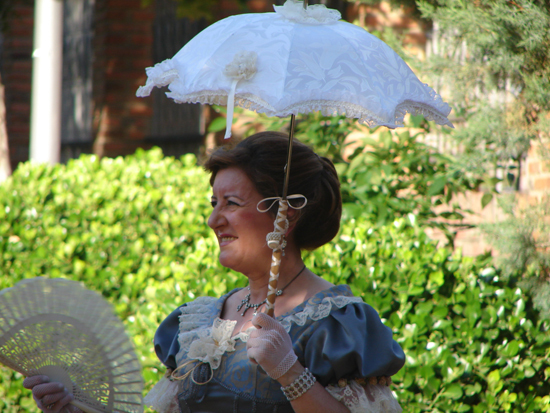 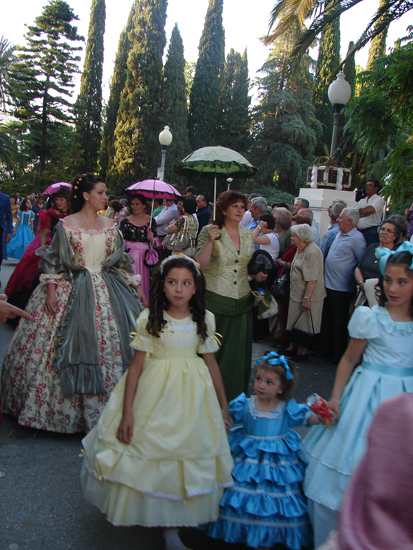 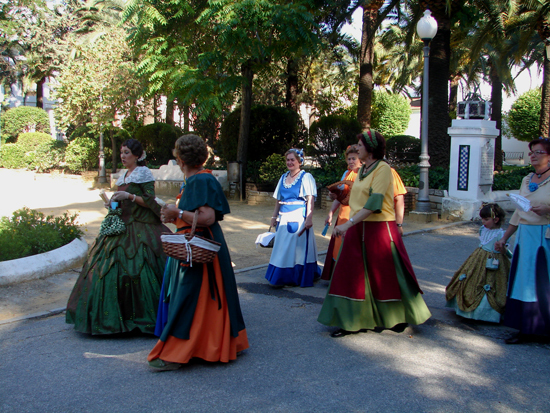 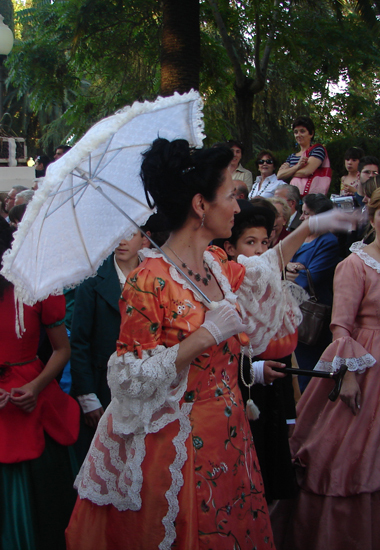 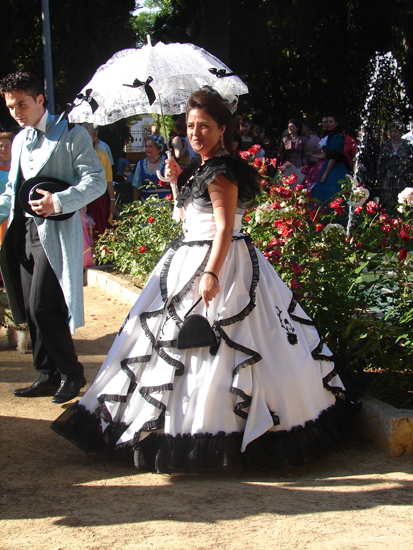 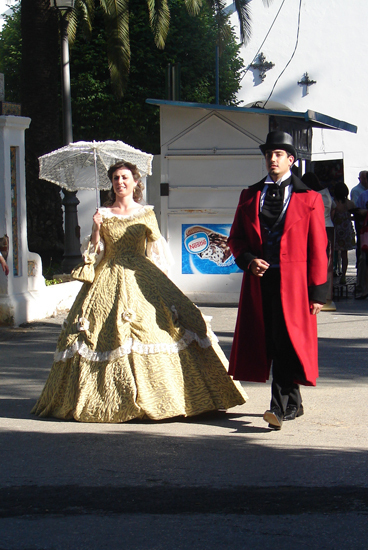 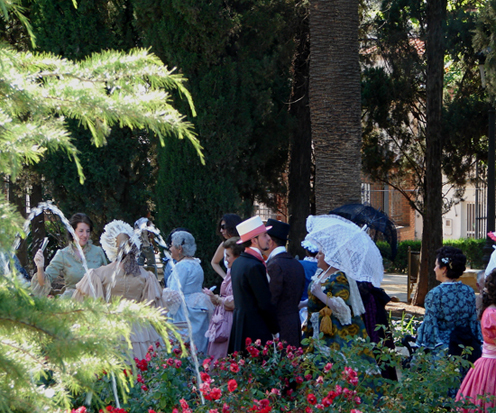 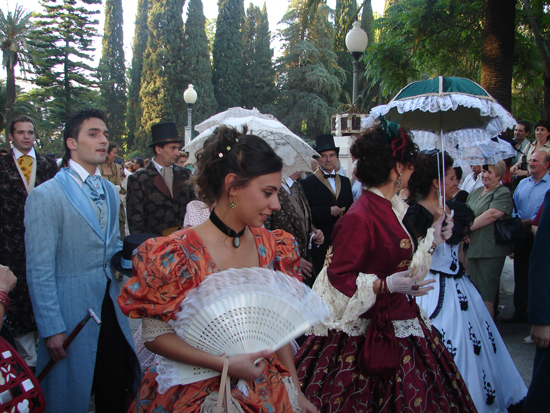 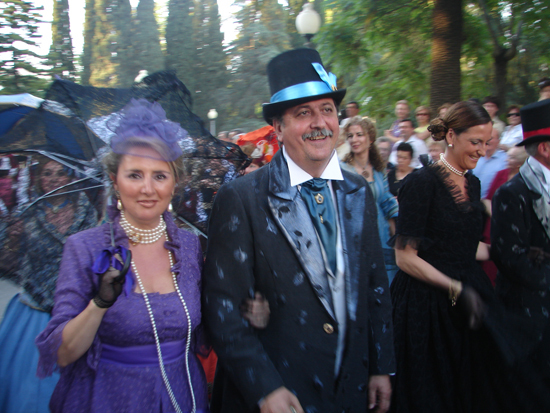 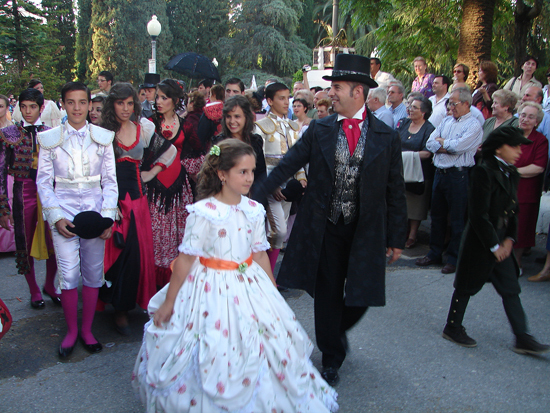 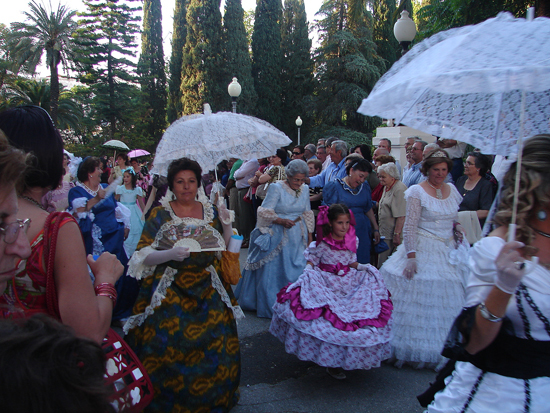 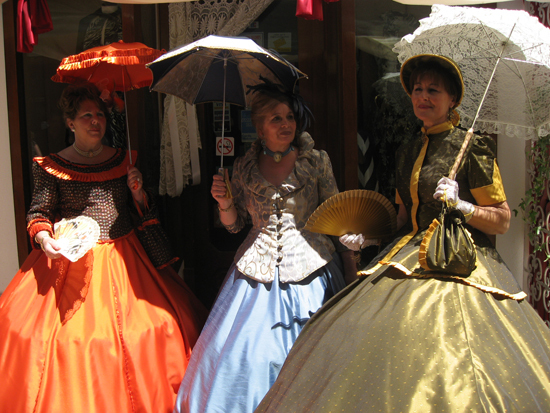 Every year the city of the Romanticism, which it saw to be born to Espronceda and to Carolina Coronado, is dressed of epoch, and the color of his flowers dyes the exquisite articles that his wives and men can illuminate with great brilliance during them memorably days.